He all, this is my first restoration attempt. 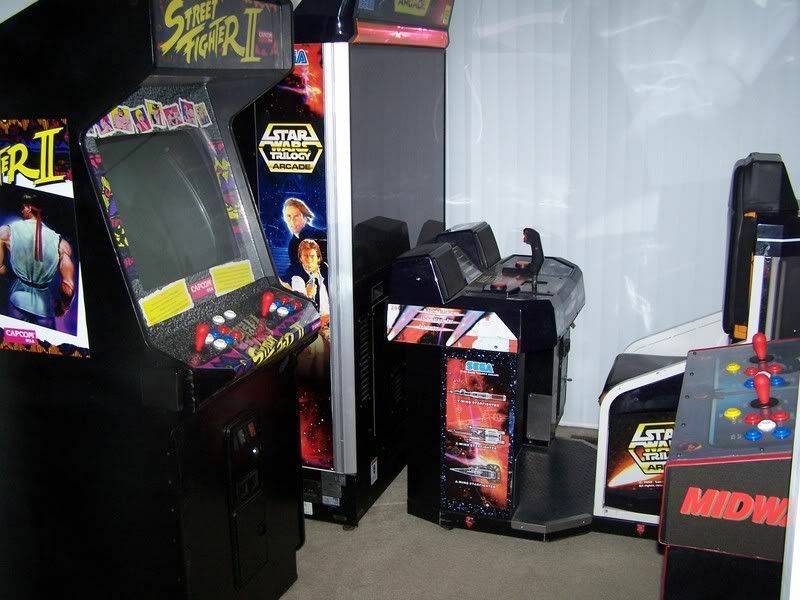 I went out to Kansas City a couple weeks ago to pick up my new Star Wars Trilogy arcade machine and the guy had a whole warehouse of stuff he got from a Dave & Busters that went out of business. 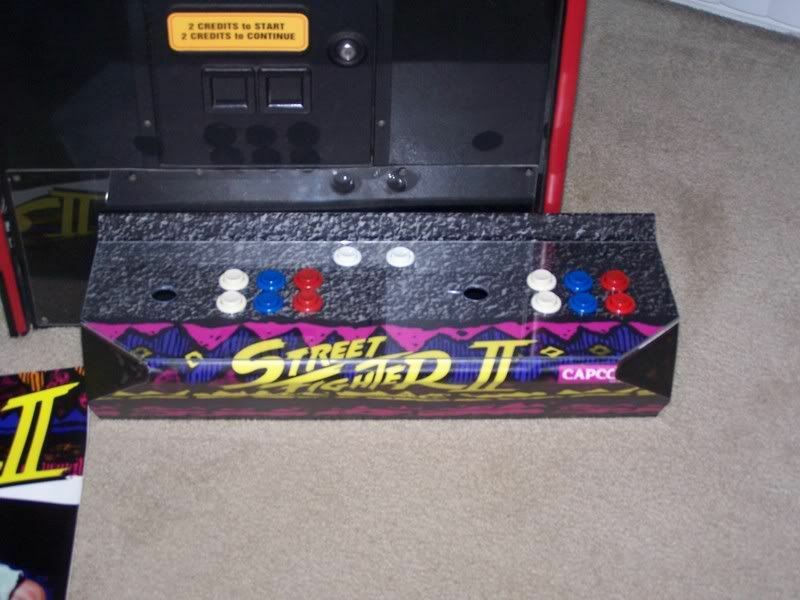 I saw this cab and he gave it to me for only $100. 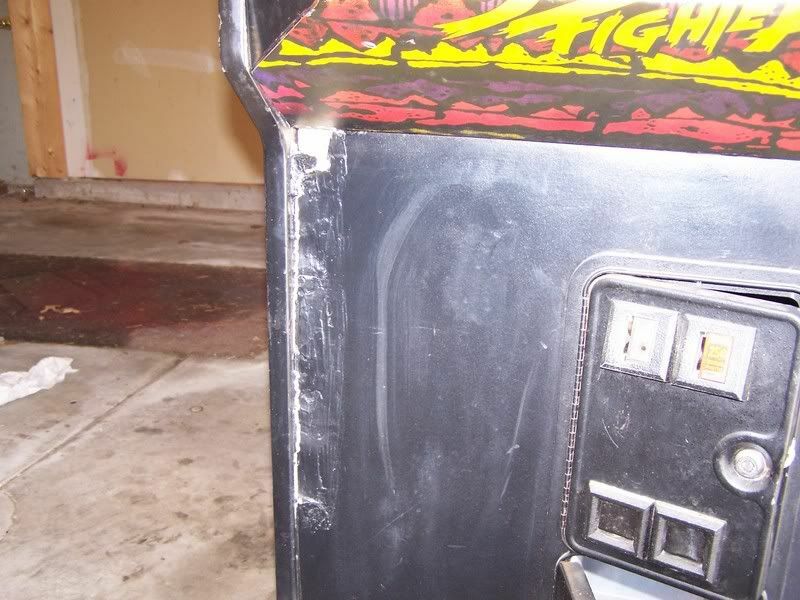 As you can see from the pics, it's in pretty bad shape, but how could I say no? 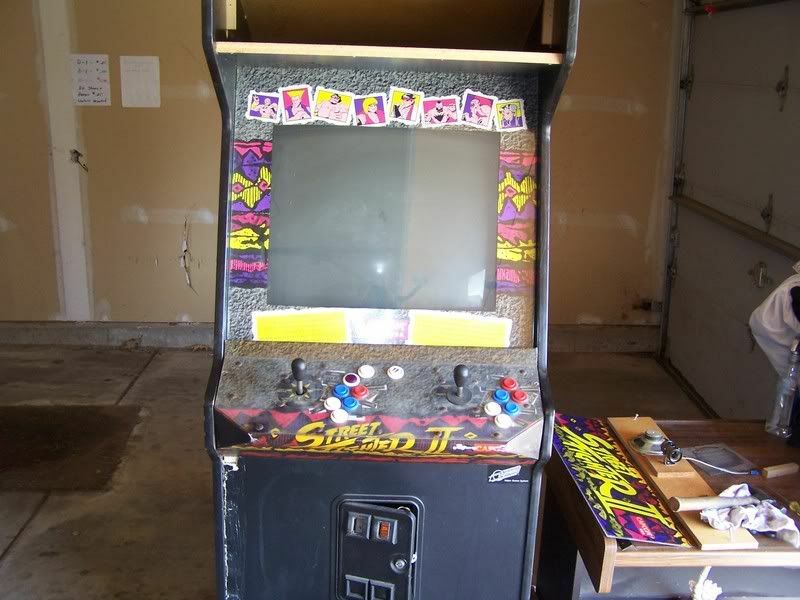 Anyway, just got it all apart and there is no pcb, monitor chassis, or side art and the controls are abhorred. I will spend most of my free time working on it and I'll try to keep the thread updated. Thanks for looking! 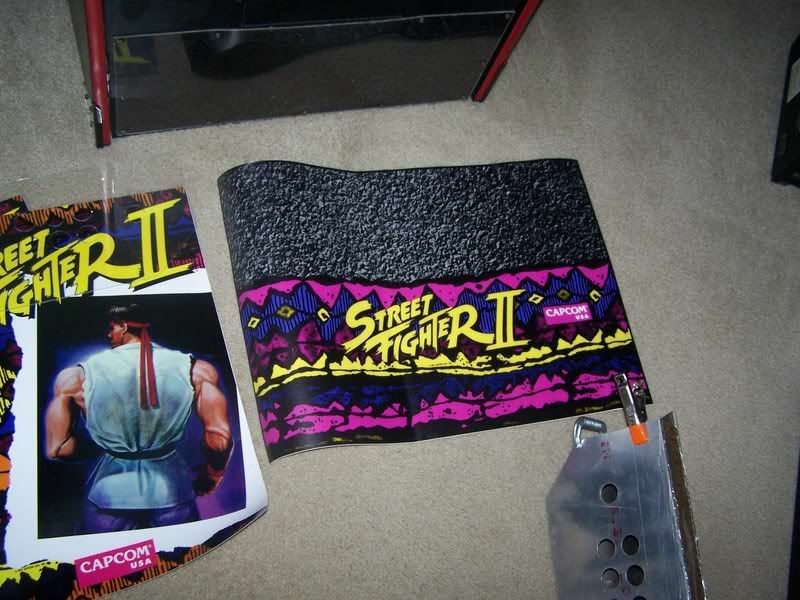 Re: Street Fighter 2 Resto! 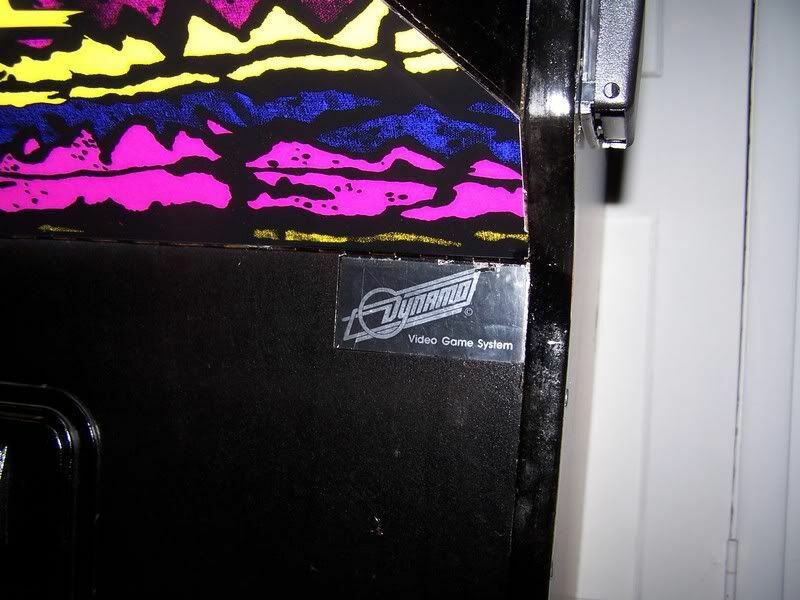 I just picked up an empty Dynamo HS-5 a while back, mine didn't have the monitor or bezel and I can't quite tell how they would have been mounted originally, could you take a pic of how the bezel is held in? I think I can tell how I would do it, but I don't know how they did it originally. 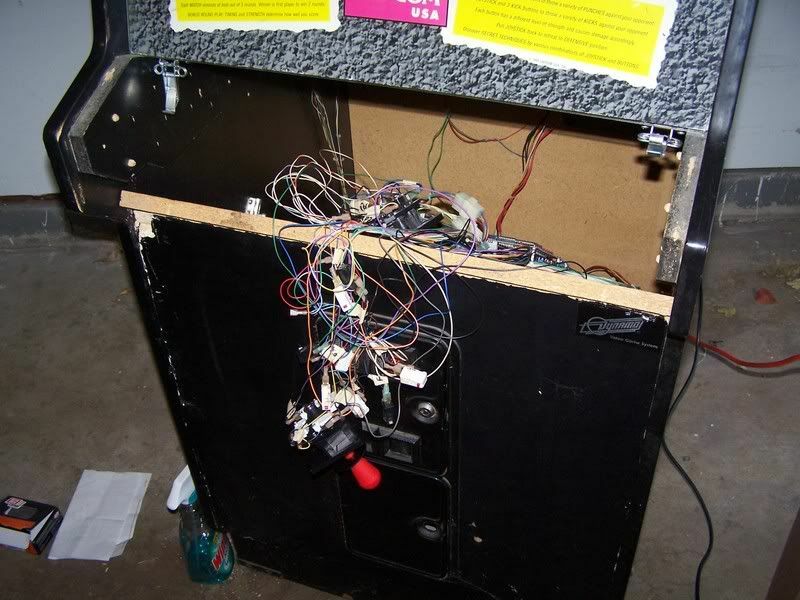 Good luck with your project, some parts of that cabinet look like they will need a lot of work, but mostly it shouldn't be too bad. 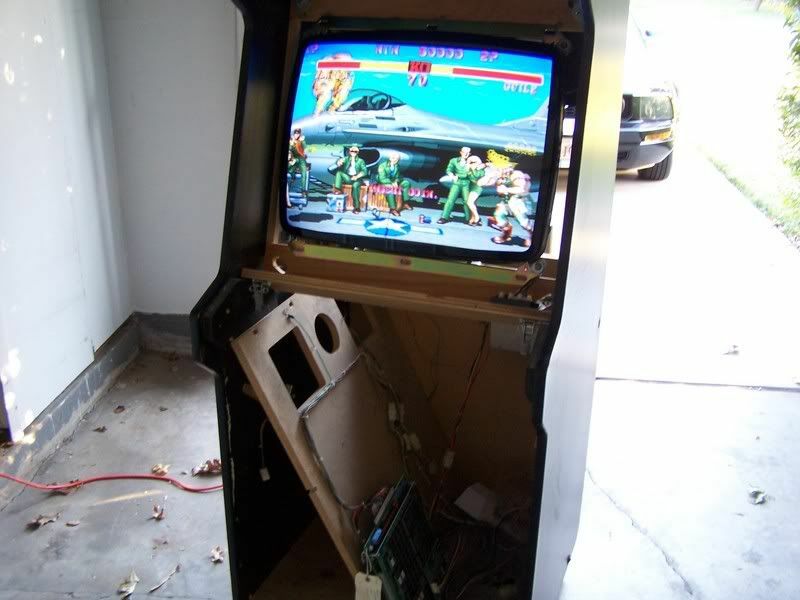 Also I am trying to get some good measurements of my cabinet to do a drawing to share with the community, I would like to have some measurements from another cab to compare to. If you get a chance or are taking measurements anyway could you share some info so I can compare and make a more complete drawing? I am not planning on removing as many panels as you see to have removed so you may be able to get some dimensions that would be difficult for me to get. Thanks, no rush on the measurements, I am kind of dragging my feet on the project any way. There is a piece of 1/2" thick MDF with a rectangle cut out of the center. 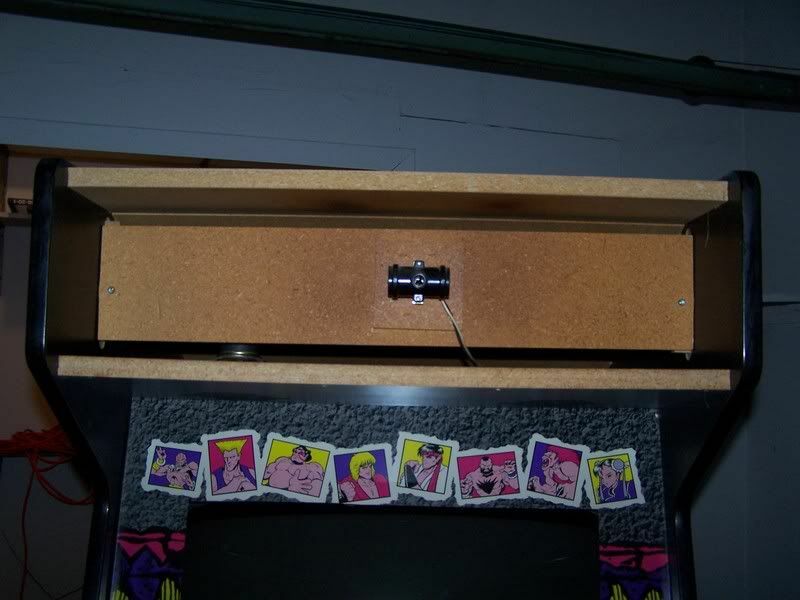 When you slide it up in, there is a channel in the cabinet that supports it up top, and it rests on a small ledge on the bottom. 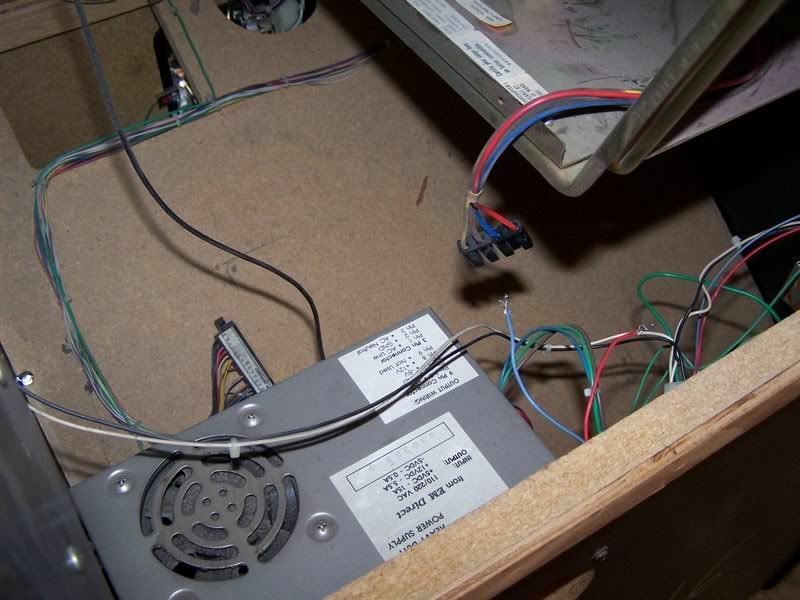 This is what supports the bezel, and then the plexi goes over that, and when you close and latch the CP down, it locks everything in place. The rest of the measurements from the pieces on my machines wouldn't be of much use to you though, because my Dynamo's are HS-1's (19" monitor). 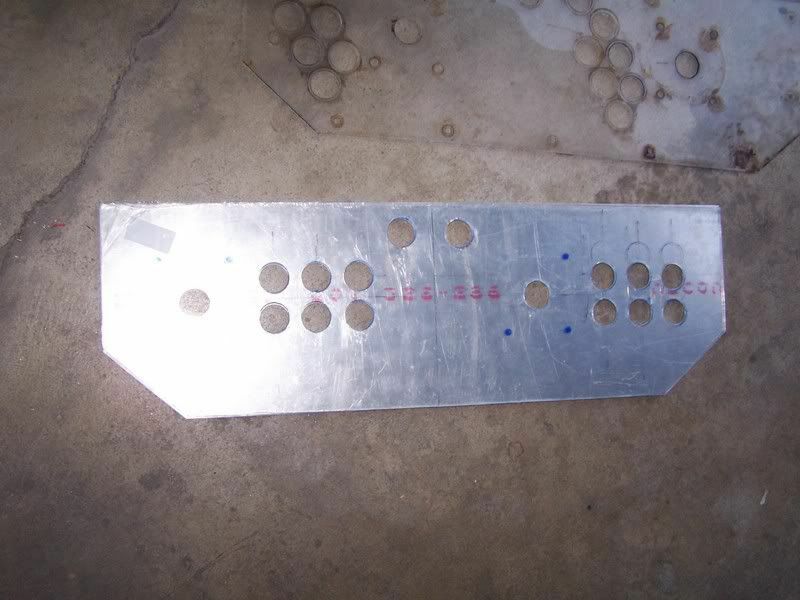 The piece from an HS-5 will be larger and have a larger rectangular cut-out in the center. Thanks for the picture, I suspected that was how it worked but it is nice to have it confirmed. Too bad about the size difference, I guess I'll have to measure extra careful when I do mine. Keep us posted on your restoration. Oh, it is the other guy doing the restoration, not me. I'm not sure if his is a 25" version like yours or a 19" version like mine, but if his is like yours I'm sure he can get some measurements for you. 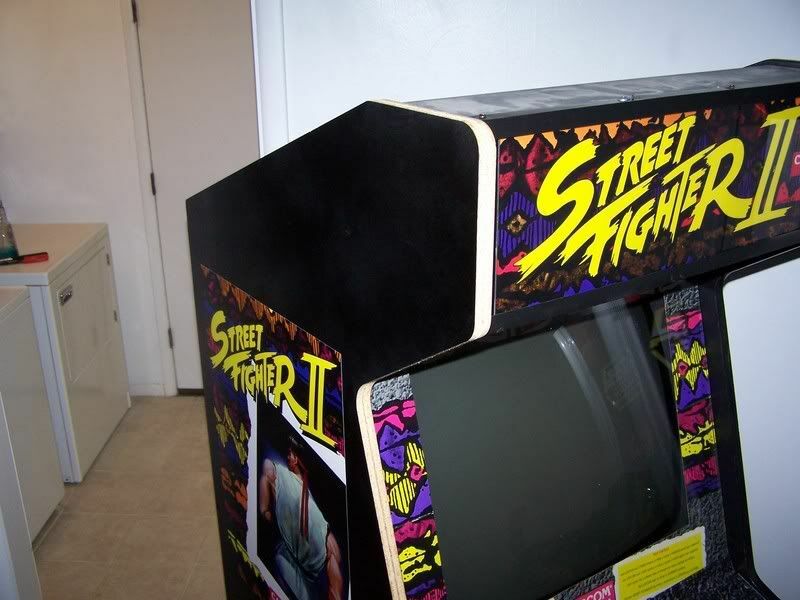 His *looks* like a 25" (HS-5) to me, with the SFII:WW cardboard bezel cut to fit (SFII:WW bezels were intended for 19" monitor cabinets), so you should be all set once he gets the measurements off his. OOPS, didn't even notice who posted. 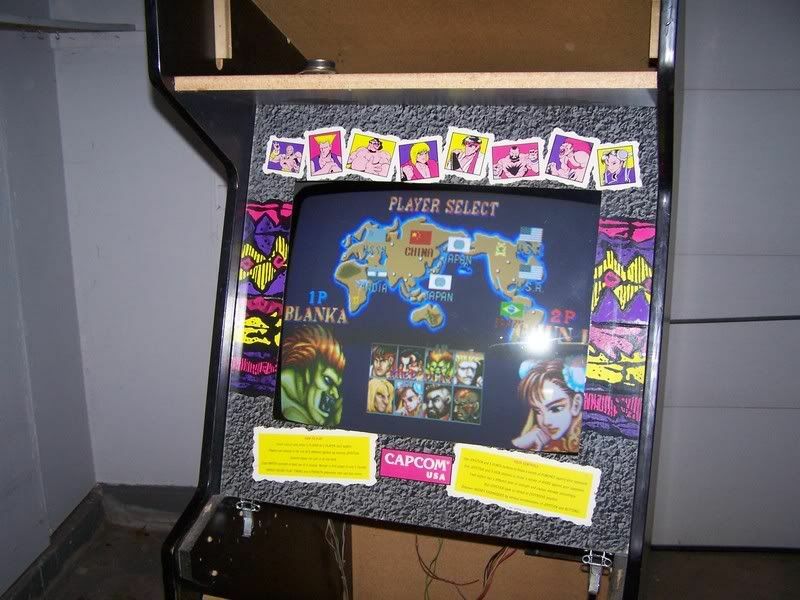 Thanks again for the pic, I guess that means that MK3FAN doesn't have to show how the bezel works anymore. The measurements would be nice though. 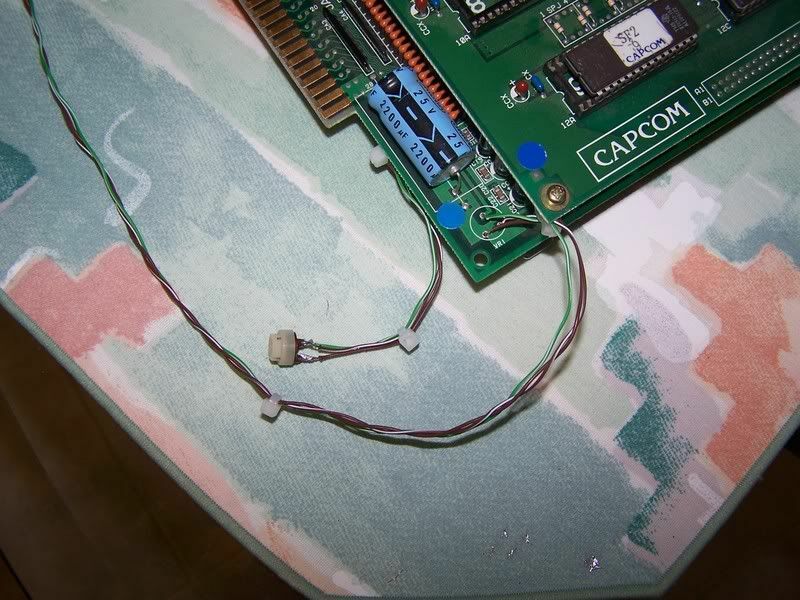 Still waiting on my PCB from ebay. Here are your measurements. Both sides from top right corner to bottom is 72". Both sides from top left to bottom is 64". 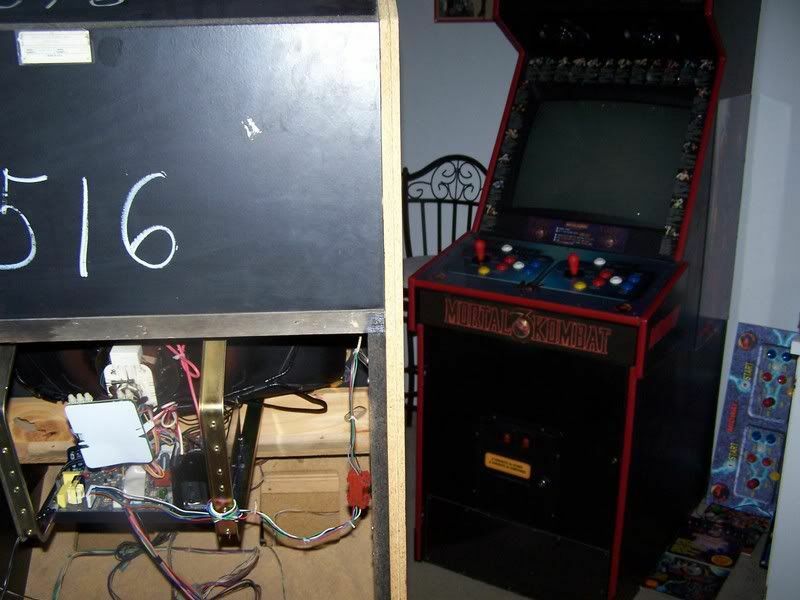 Both sides from front of control panel to the back of the machine is 30". The bezel area from top to bottom is 8.25". From top of bezel to bottom is 72". Front and back side from across the machine is 27.5. Need any more or clearer details, please let me know. Hope that helps! Oh, also it IS a 25" monitor. 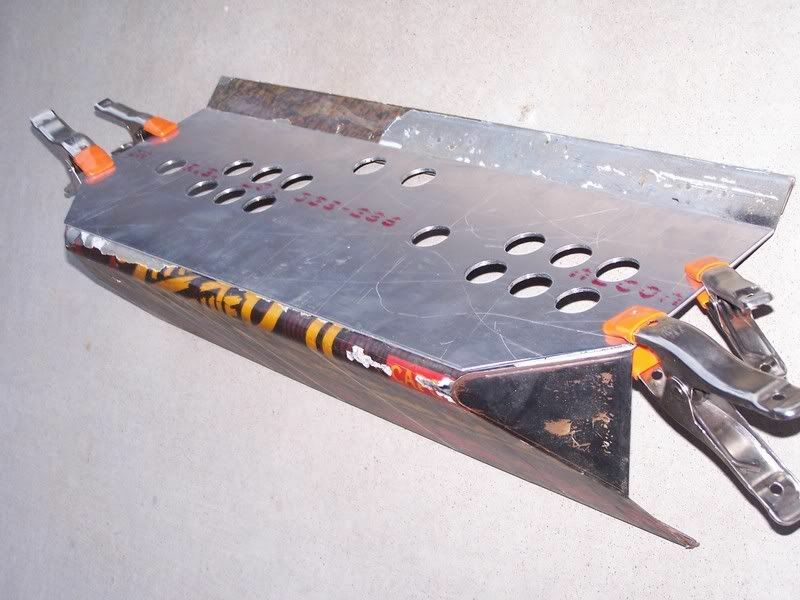 I am having a little trouble locating a chassis for it. Thanks for the measurements, when I get back to drawing mine I'll compare and make sure they seem right, between the two sets I should be able to get accurate results. Well gang, just got my new 25" monitor installed, hooked up, and all ready to go. The machine needs a lot more more work, but she's getting there. Here are some updated pics. Man, this is so weird. 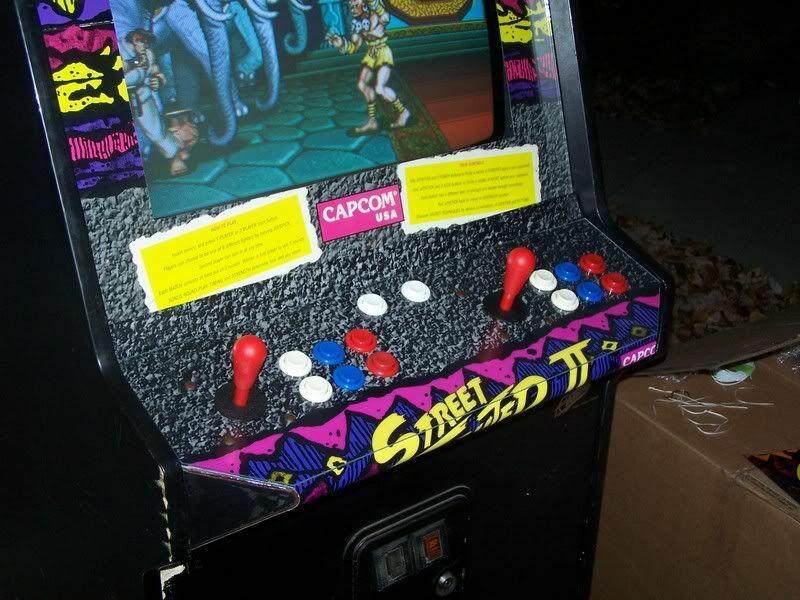 Earlier today, I found this old thread after doing a search for Street Fighter projects and here it is updated and back on the front page. Great info already in this thread. I learned from your thread that I also have Dynamo HS-1 with a 19" monitor just like The Dude and Max here. 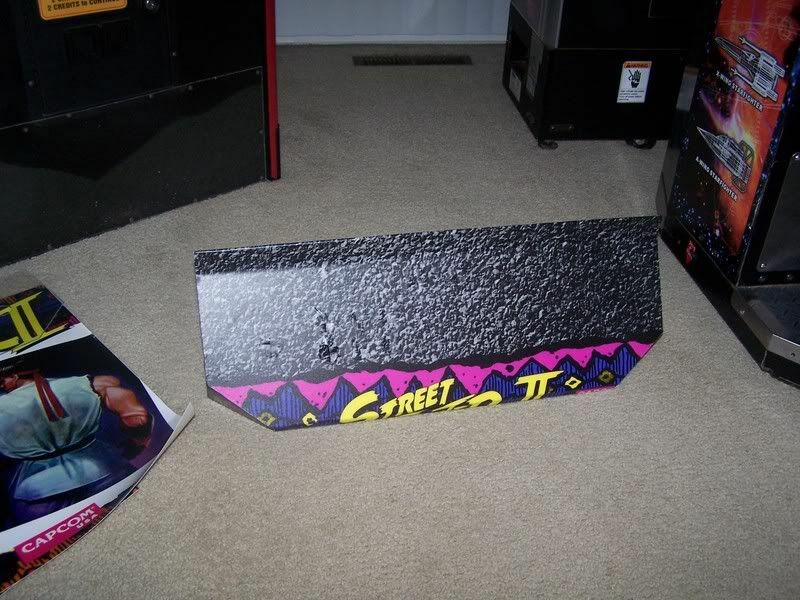 It looks like a vagrant slept in it and used it as a bathroom and moved on, but the outside looks to be a perfect shape for a SF2 cab. 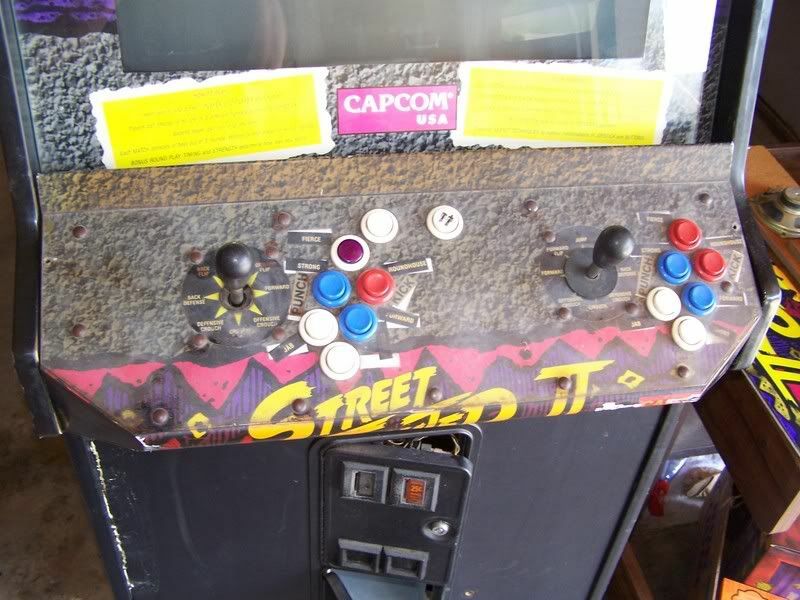 Just looking at your cab so far, I forgot how much I loved and friggin' prayed for one of these damn SF2 cabs back in the day. 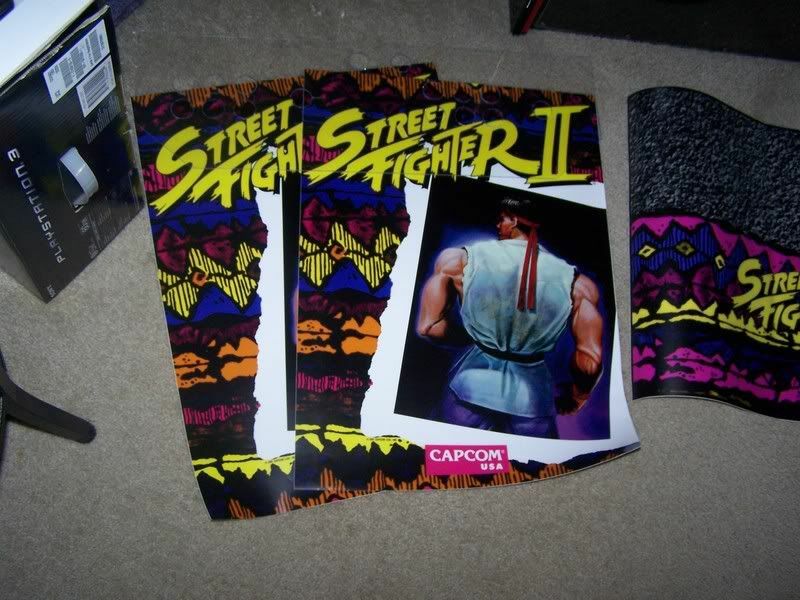 I'm now inspired to deck mine out with SF2 artwork. It'll be expensive at around $169 bucks to do it, but I think I'll do it. I'm using PC parts though, yeah I know, I'm a f**kin' amateur. Anyway, keep at it and post lots of pics! Thanks! It was NOT my intention to have it reflect off the monitor. Just came out that way. Good luck with your build. 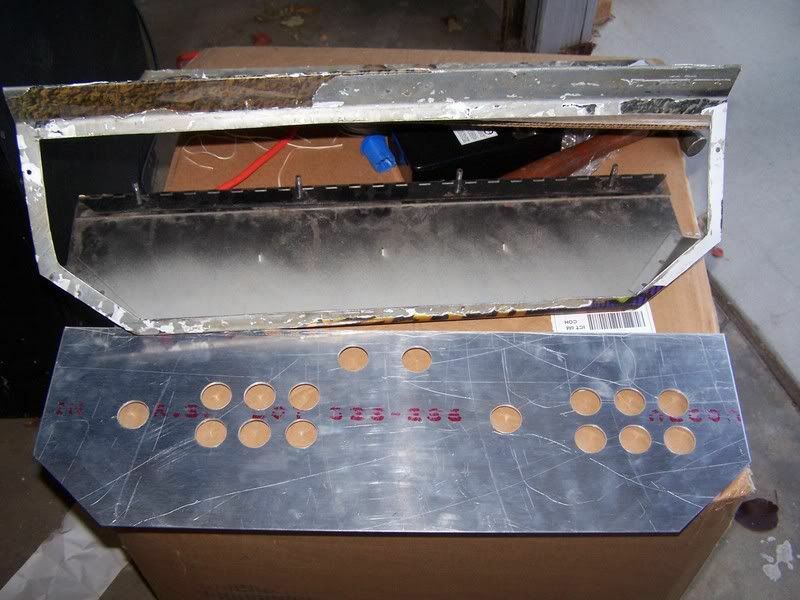 I just spent exactly $180 on new side art, new control panel overlay, and a new marquee with plexiglass cut to fit. Should be here by the weekend so a new update will be posted soon. 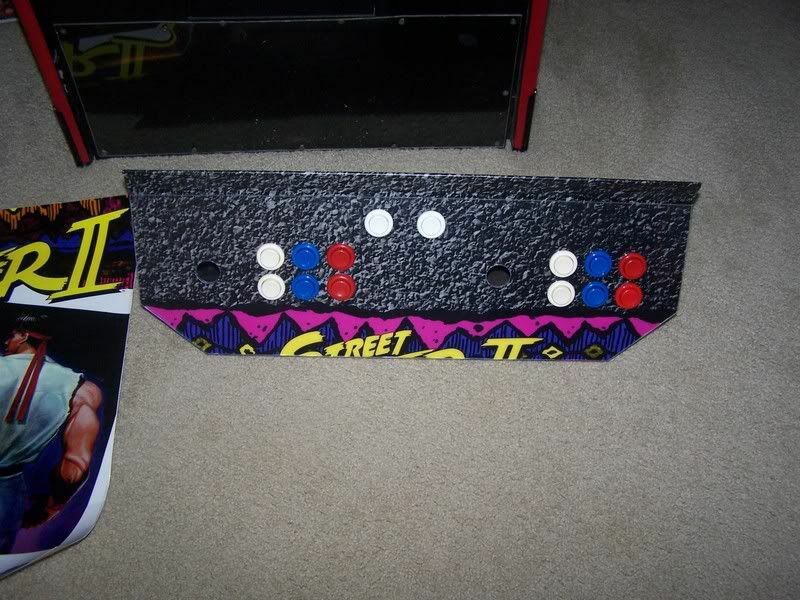 I need to get all new t-molding as well. Replaceing the crappy front piece will be a little bit more time consuming. Only thing about this game that I do not like is that there is no diagnostic menu. 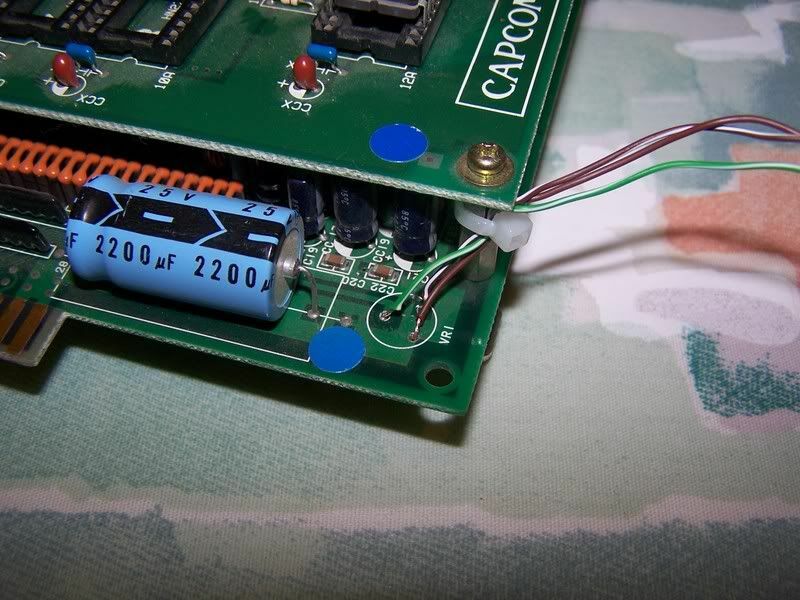 The only way to adjust the volume is a little pot mounted on the PCB itself. 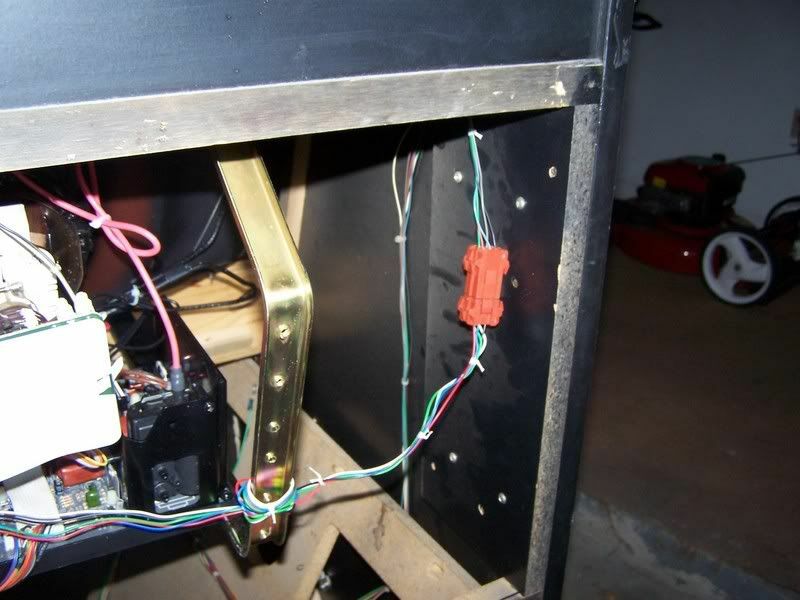 I could piggyback onto it and run a rheostat up to the front of the cab and mount it under the control panel (which is probably what I'll do) but first things first. Thanks for looking! Well gang, just got my new 25" monitor installed, hooked up, and all ready to go. Where did you get your monitor and how much was it? Also, How are you going to fix that CP. 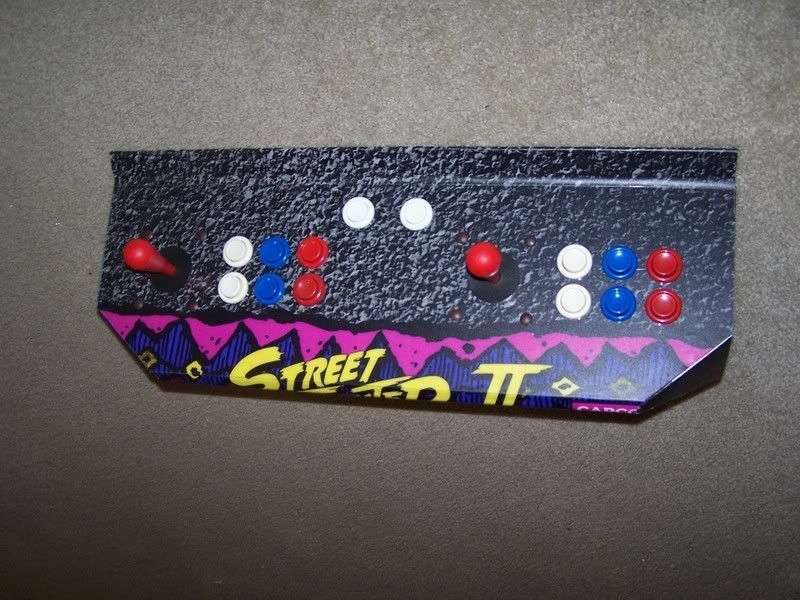 That's one unique button layout! I got the monitor on Ebay. I snagged it for only $165. $235 with shipping. It was quite the deal. I got lucky. 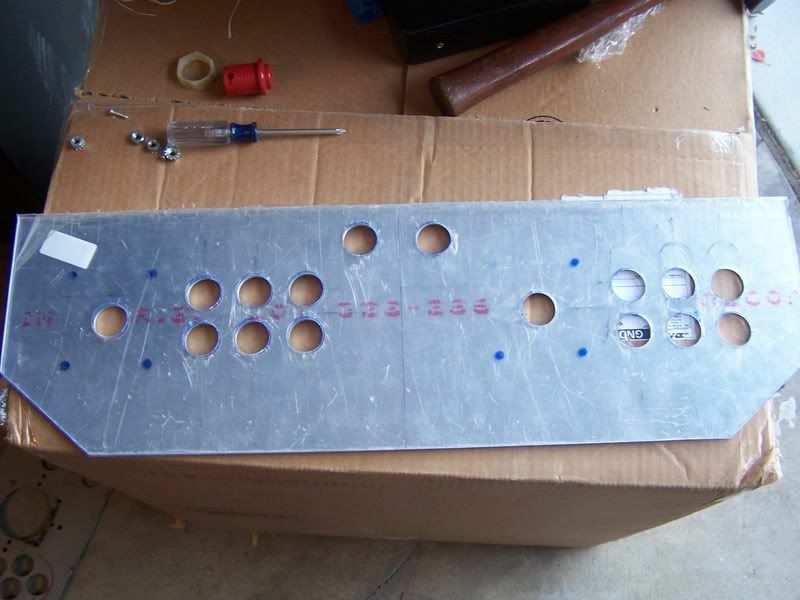 As far as the control panel goes, I am going to lay a thin piece of sheetmetal over the top that I will cut to fit and drill new holes. 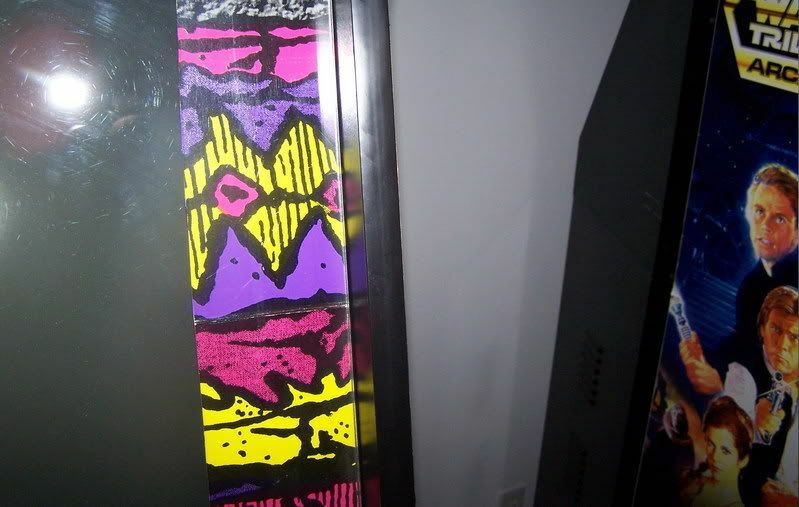 The new overlay coupled with the new plexiglass peice that will have to be cut also will hide the fact that there is a slight "raise" to the panel. Yeah, as soon as I saw that layout, I knew I had my work "cut out" for me. 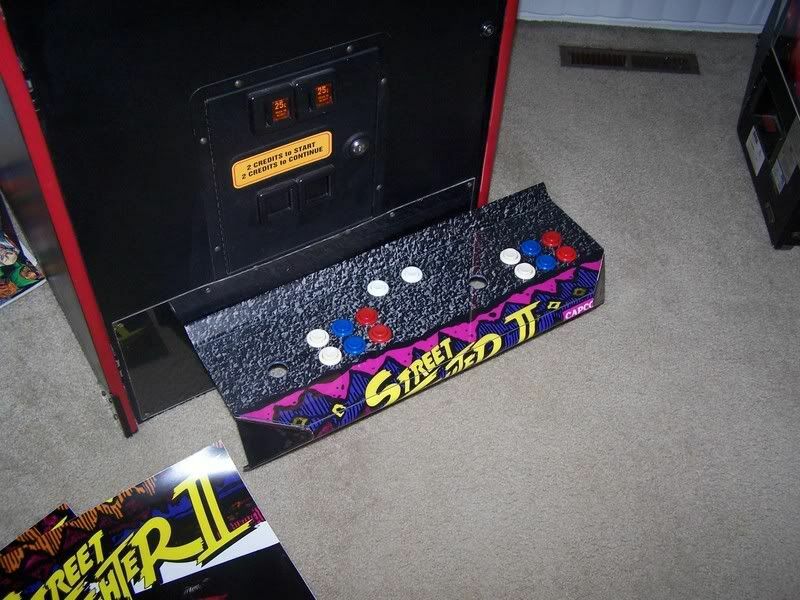 If you are planning to do a nice restoration you might consider making it into an SFII:CE machine. 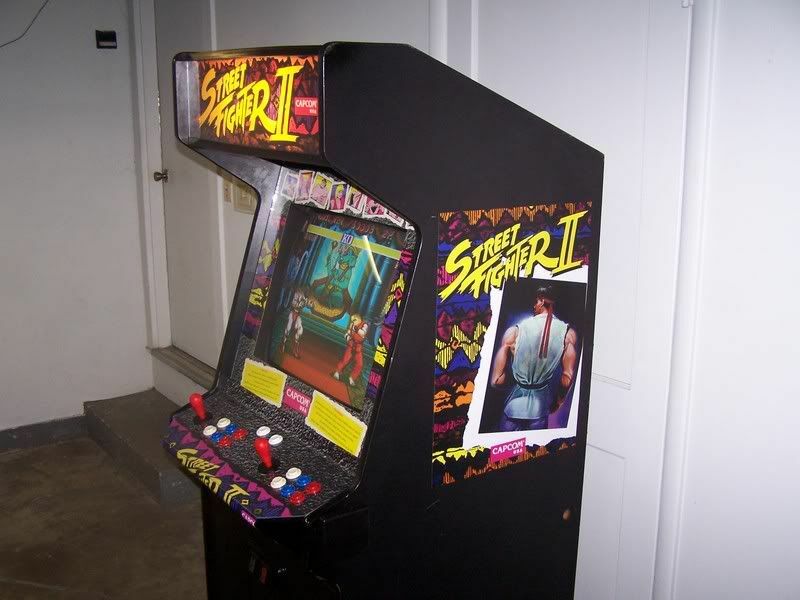 SFII:WW like you have was only sold as a kit, and intended for 19" monitor cabinets. 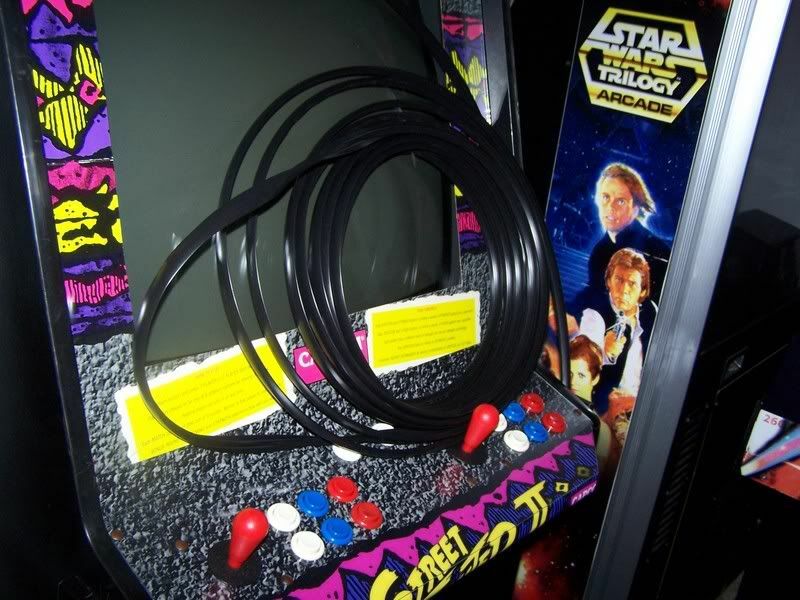 Most of them ended up in 19" Dynamo HS-1 cabinets (e.g. 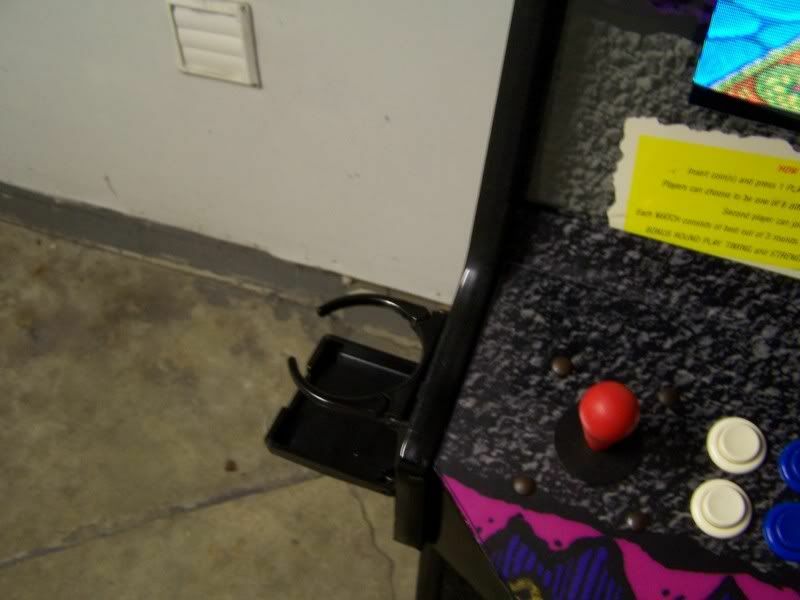 Ikari Warriors cabinets). 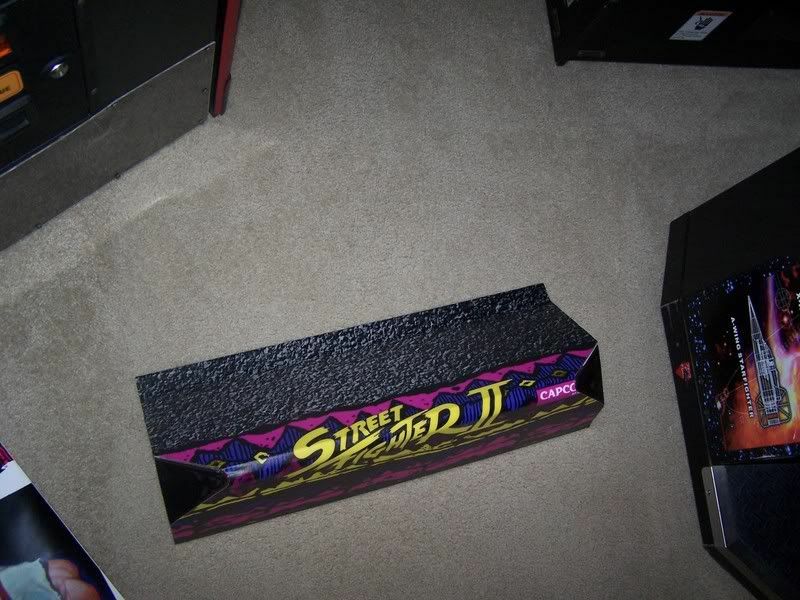 That's why your SFII bezel has been cut out larger in the middle to fit a 25" monitor, because there is no such thing as a 25" SFII:WW bezel. That's assuming that your cabinet is actually a 25" HS-5 and not an HS-1 or HS-2 that has been retrofitted with a 25" monitor (I've seen that done before). How wide is your control panel? 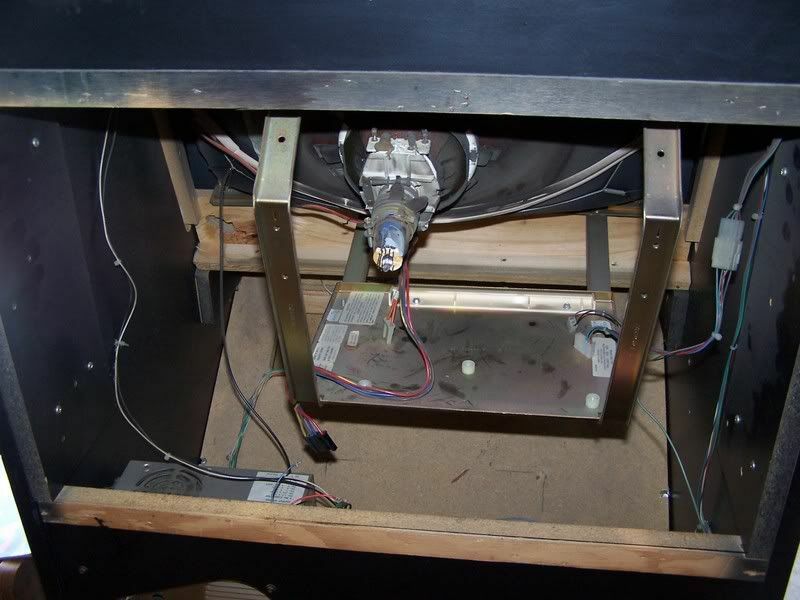 If it is 23 5/8" with the total width of the cabinet being 25 7/16", then you have an HS-2 that originally came with a 19" monitor (HS-1's and HS-2's are both 19" monitor cabinets and identical looking from the outside, but the HS-2 had the slide-out board behind the CP for the boardset and power supply, while the HS-1 didn't). Thanks for the info! 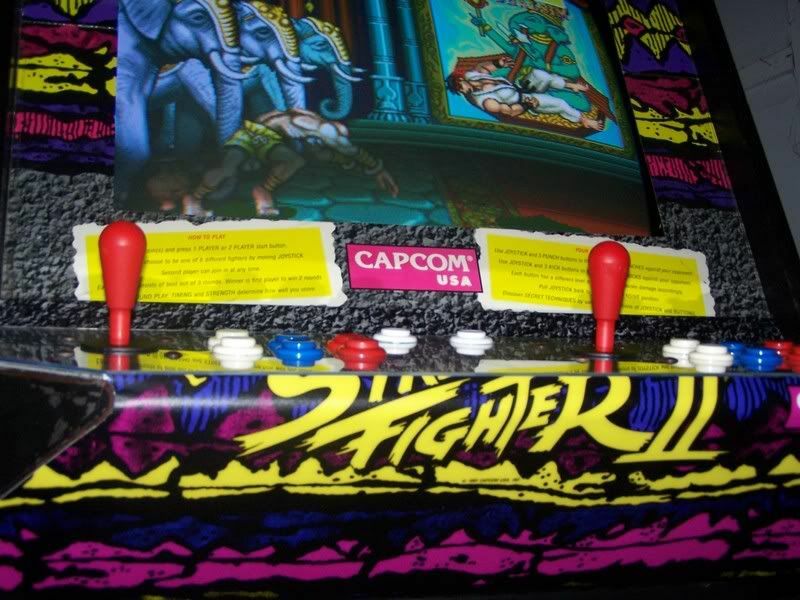 I don't know much about the history of Street Fighter. 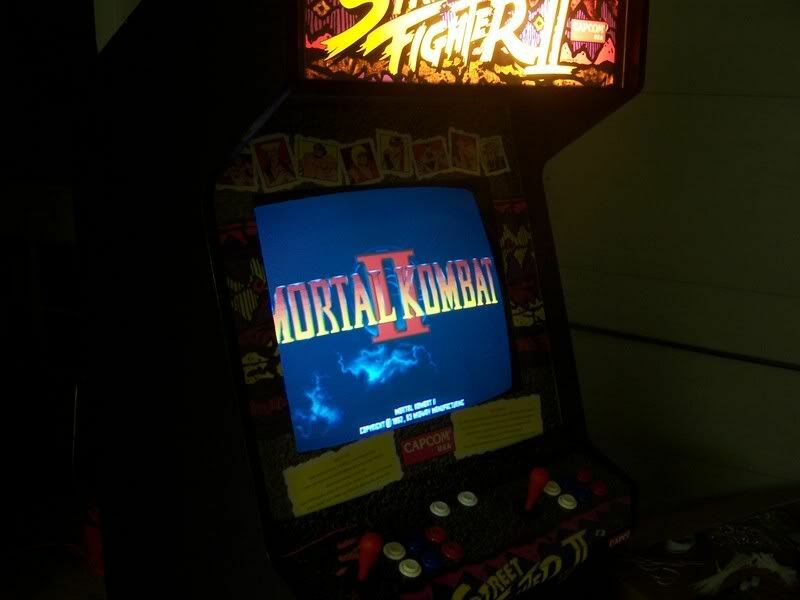 I am a Mortal Kombat guy. 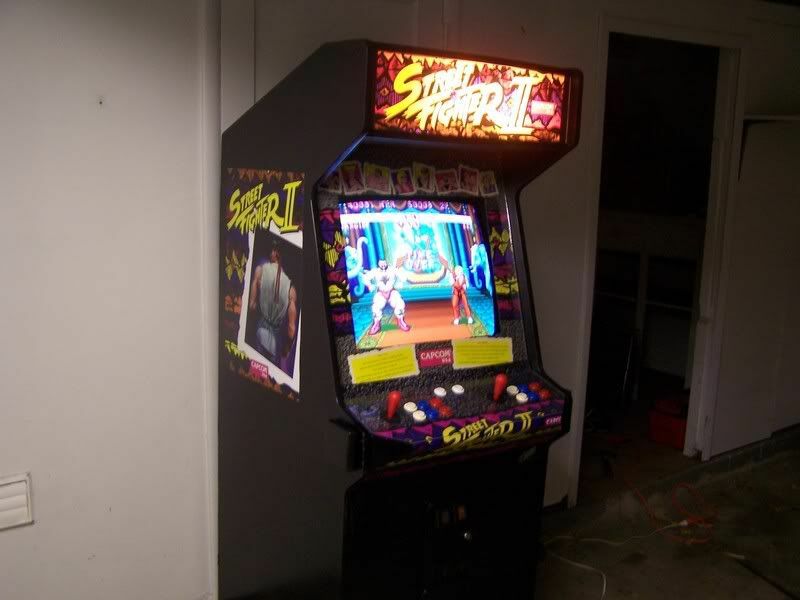 And in all honesty, my frind is going to buy this machine from me when I get done restoring it, and he is the type of person who has no clue about any of the technical stuff. 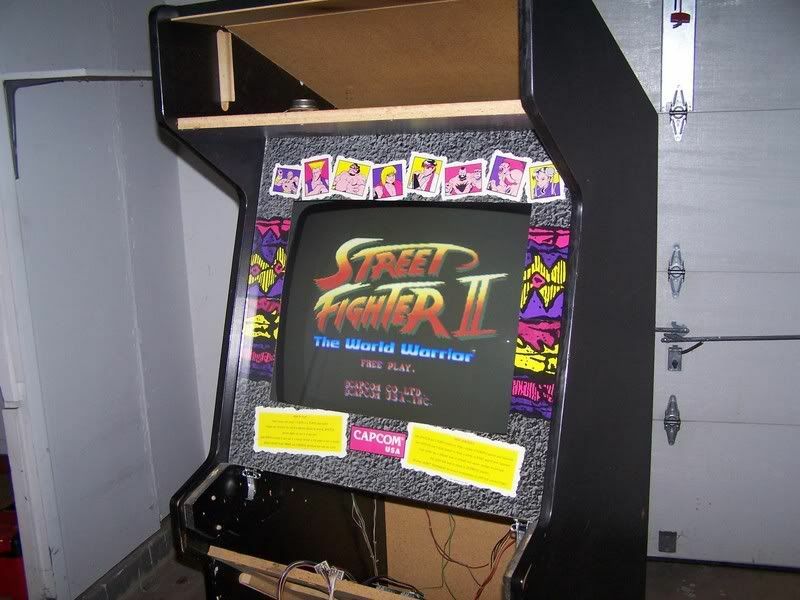 He just wants a Street Fighter 2 arcade machine. Yeah, I'm guessing that your cabinet is a 19" HS-2 which has been retrofitted with a 25" monitor. 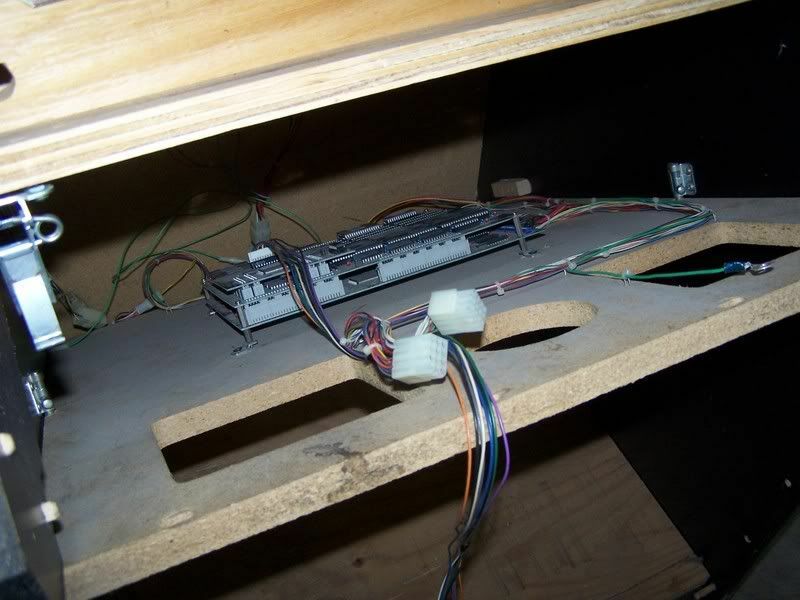 You can find out for sure by measuring the width of the cabinet and/or the control panel. 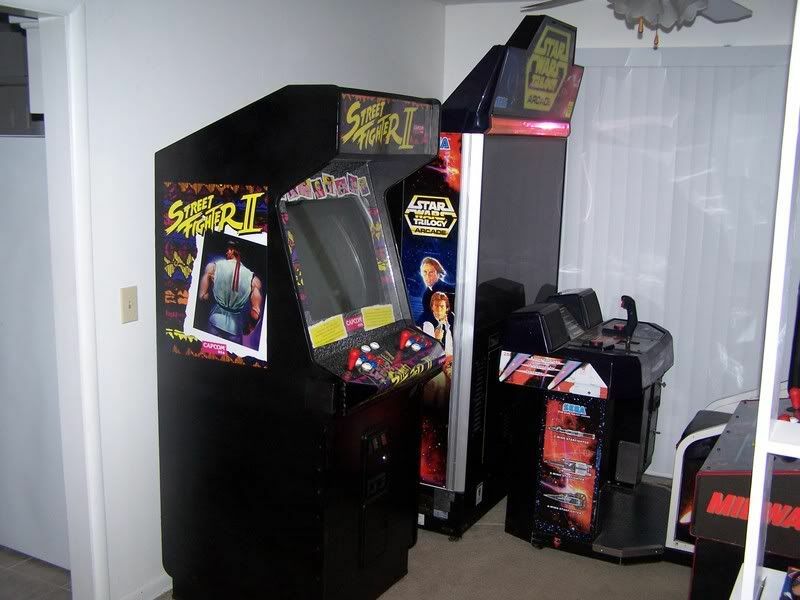 The reason I think it is an HS-2 rather than an HS-5 is because the marquee and bezel, which are both intended for the narrower HS-1 and HS-2 cabinets, seem to fit your cabinet's width perfectly. 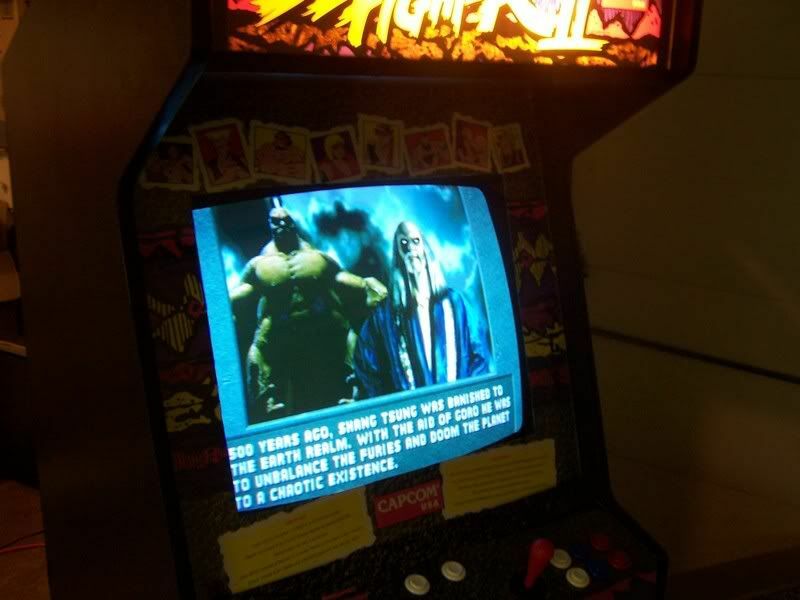 If that was an actual HS-5, the bezel and marquee would be too narrow for the cabinet, and there would be sizeable gaps showing on either side. 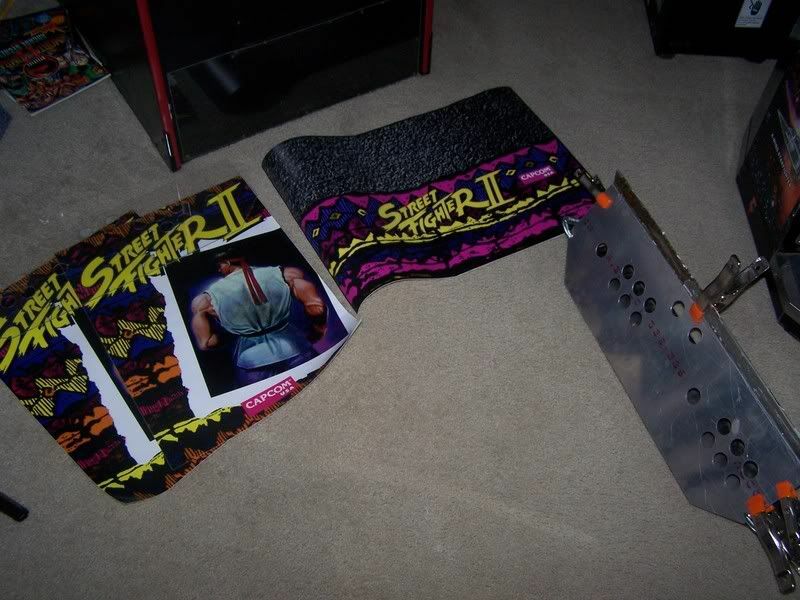 The machine I learned to play SFII on in the arcade back in '91 was just like that, i.e., a 19" Dynamo that had been modified to accept a 25" monitor. 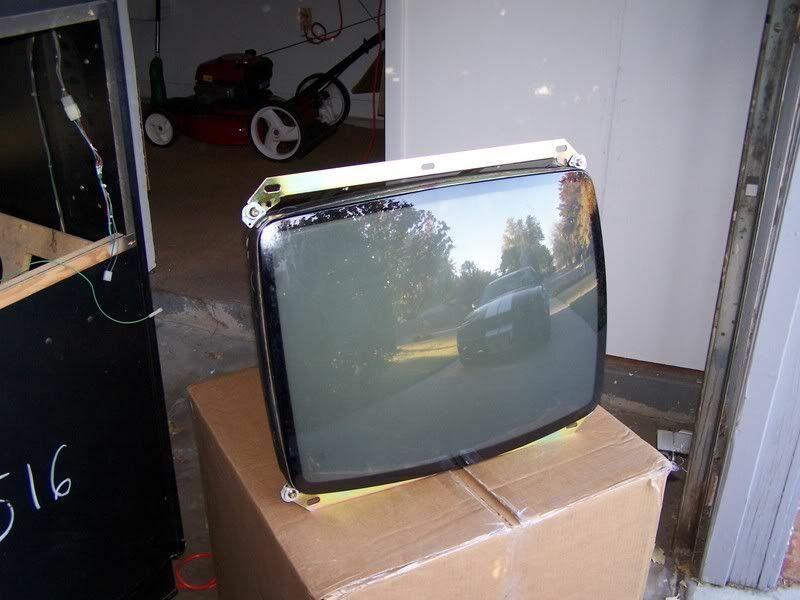 If the HS-5 was the 25" cab with a streight back what is the designation of the 25" z-back cabinet that also has a 25 3/4" CP? 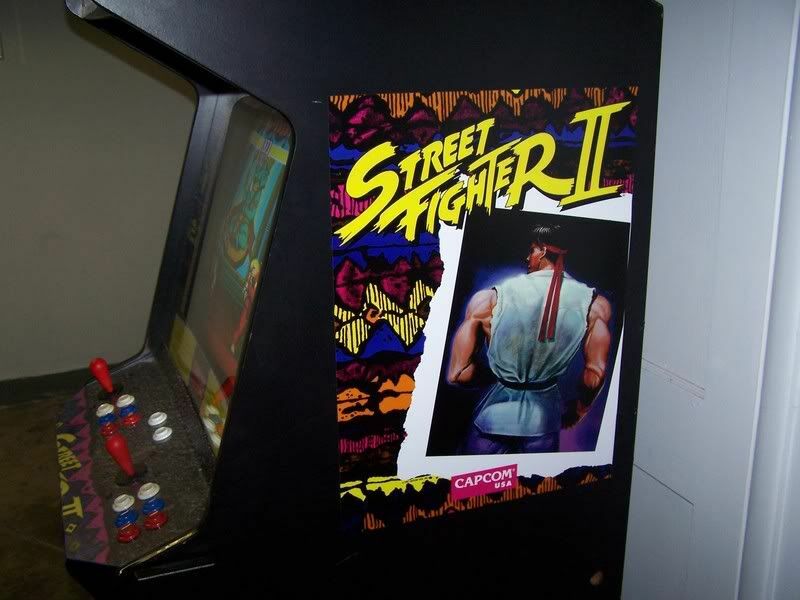 I just noticed something: Chun-Li's outfit is red in that one picture. 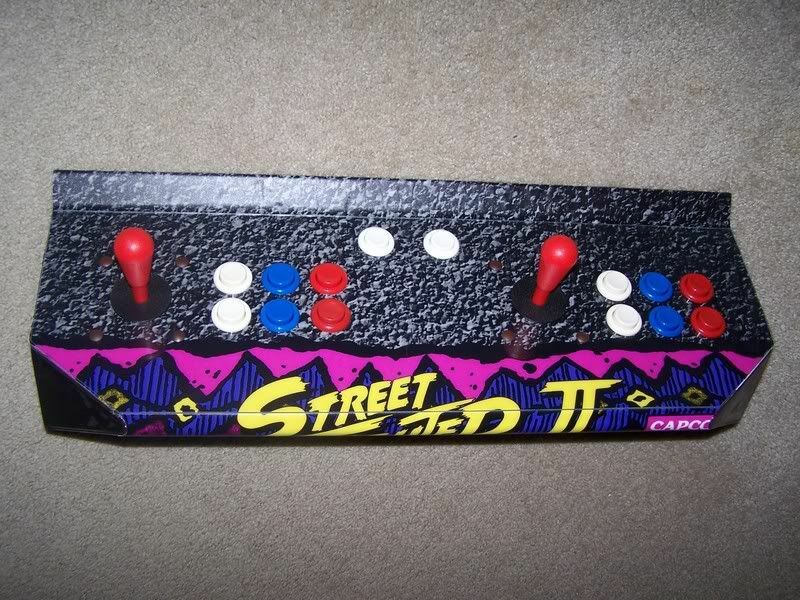 I wonder if this could be a weird bootleg board or something. Could be, but I don't think so. 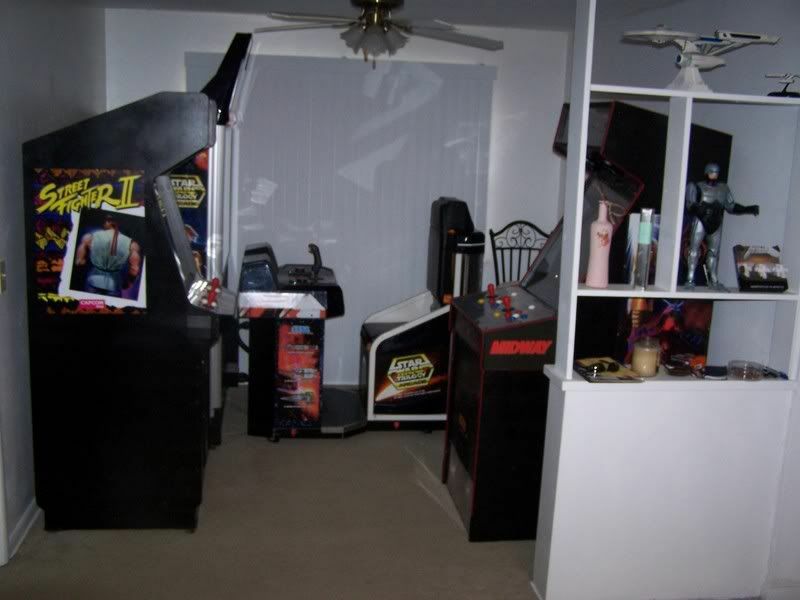 Then again, you never can tell what you are going to get on Ebay. 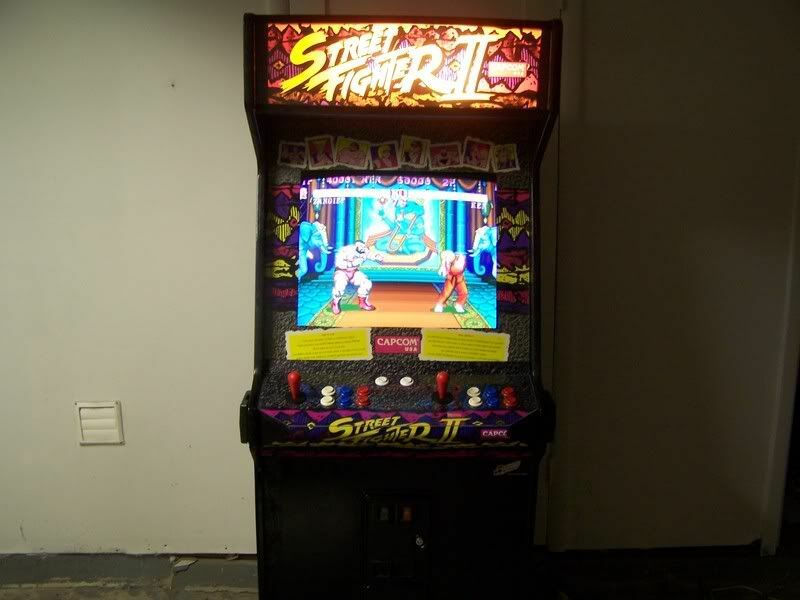 The original Street Fighter II arcade versions all had Chun Li with a red portrait, yet blue cloathing in game. It wasn't changed to blue until Champion Edition. You and I are again in the same boat. I removed my control panel took out all of the controls. 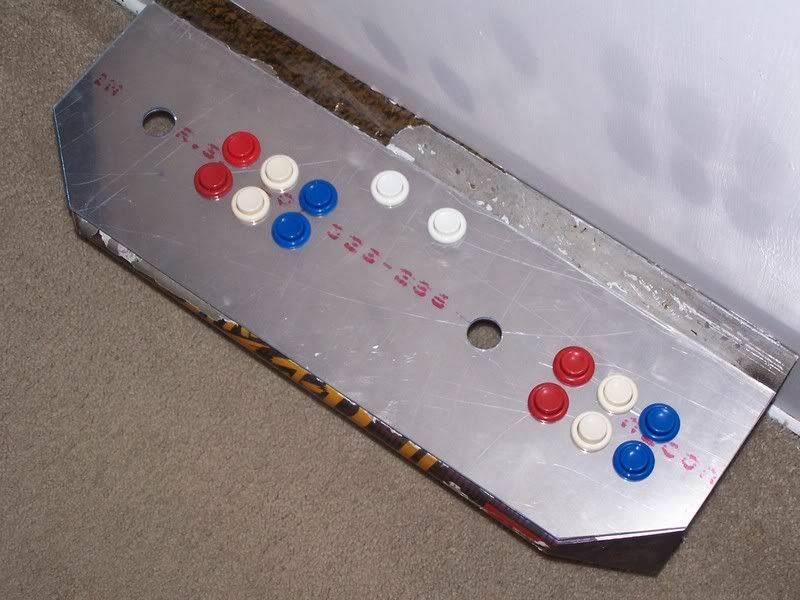 The left stick was a couple inches too far toward the middle for me to use its holes, so the thing's looking like swiss cheese right now. 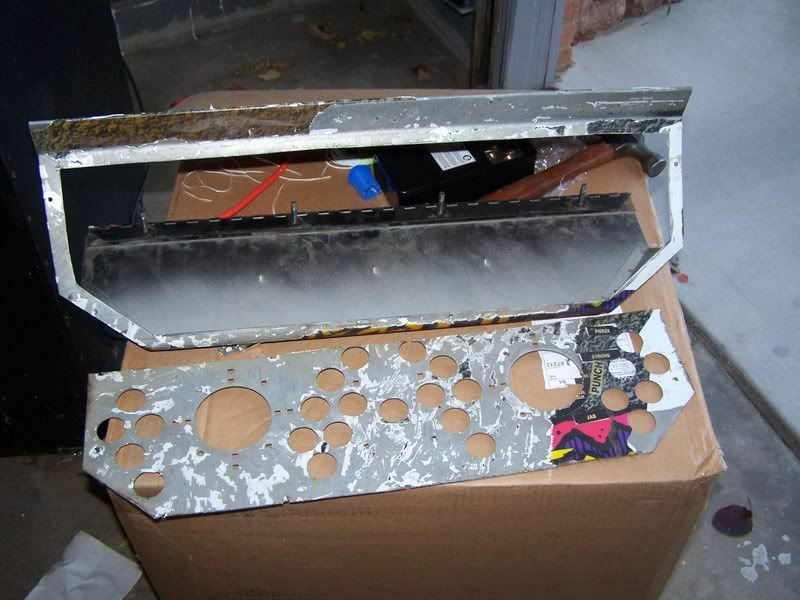 Someone in another thread suggested taking it to a metal shop and paying them to "make a blank" out of it. 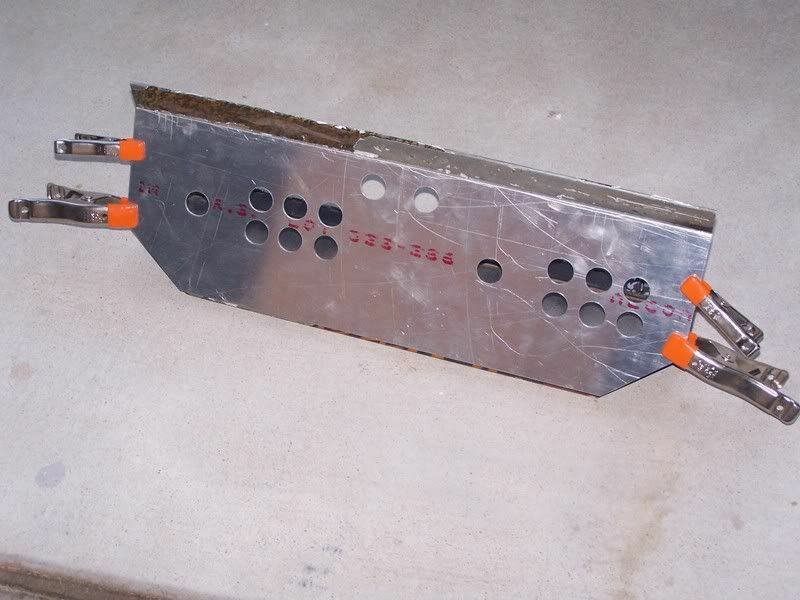 Can't be too hard to cut out the entire button area and weld in a rectangular piece of sheet metal to replace it. 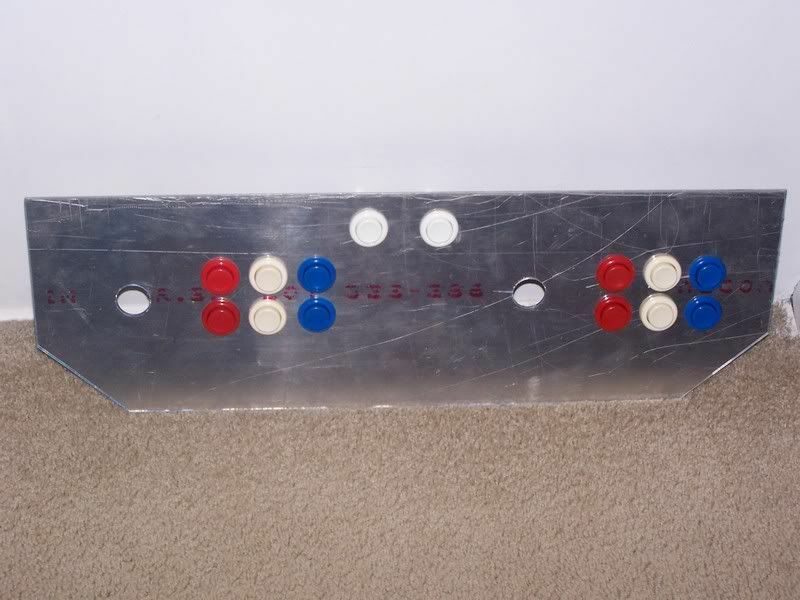 Another low-budge option is to use what you have with 1/2" MDF reinforcement from the bottom. Longer Carriage bolts will hold it all together. 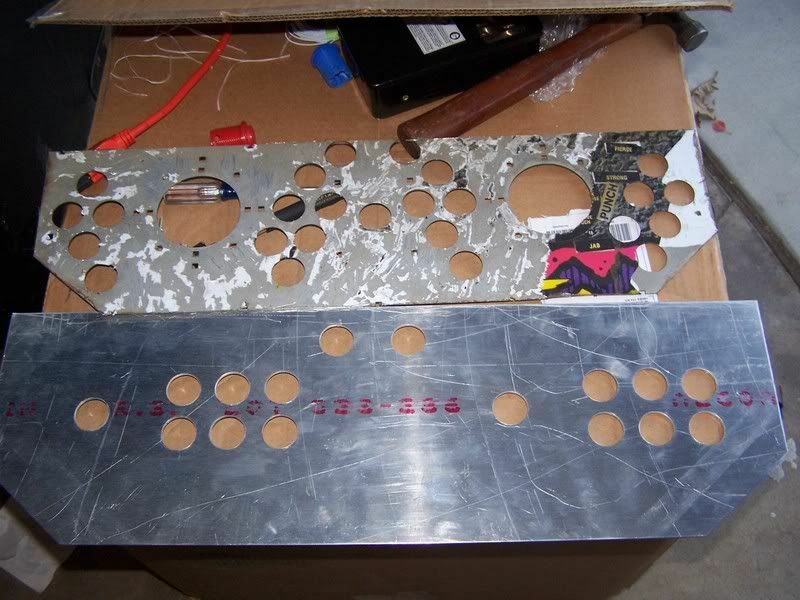 Also on my wish list is to have some metal shop guys make me a couple identical CPs that will hold a trackball/spinner and other options, or just make my own mega giant CP out of wood. ...Decisions, decisions. Ok. Being that I am in the Aviation field, I work with guys who have free range over machine shops for fabrication of aircraft parts. 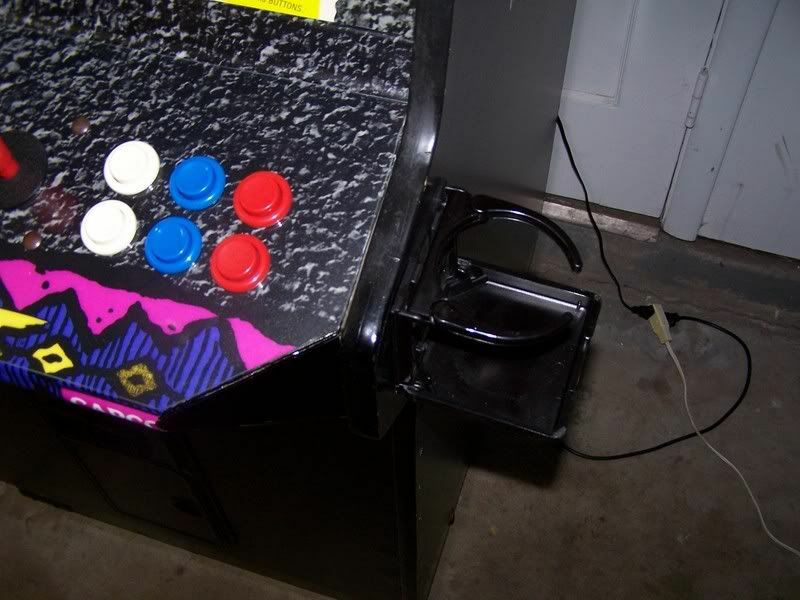 Anyway, I was able to stay late after work the past couple days and get this control panel problem solved. 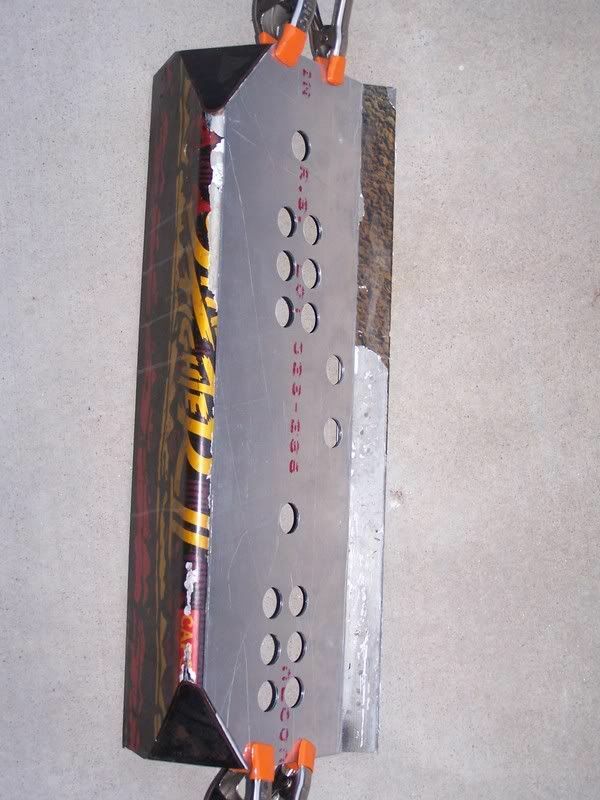 I cut out the old set up completely and fabricated a new piece out of sheetmetal to completely cover the top of the old panel. 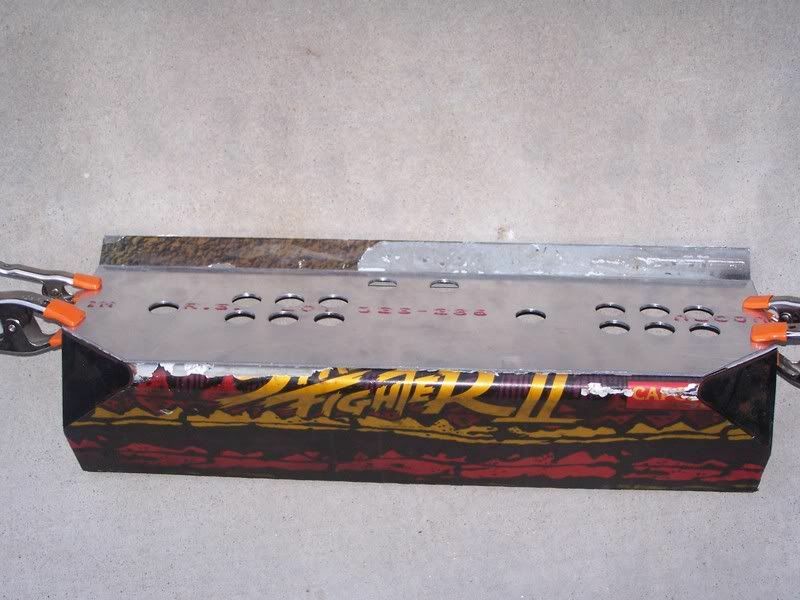 it will be secured with some tough 2-part epoxy. 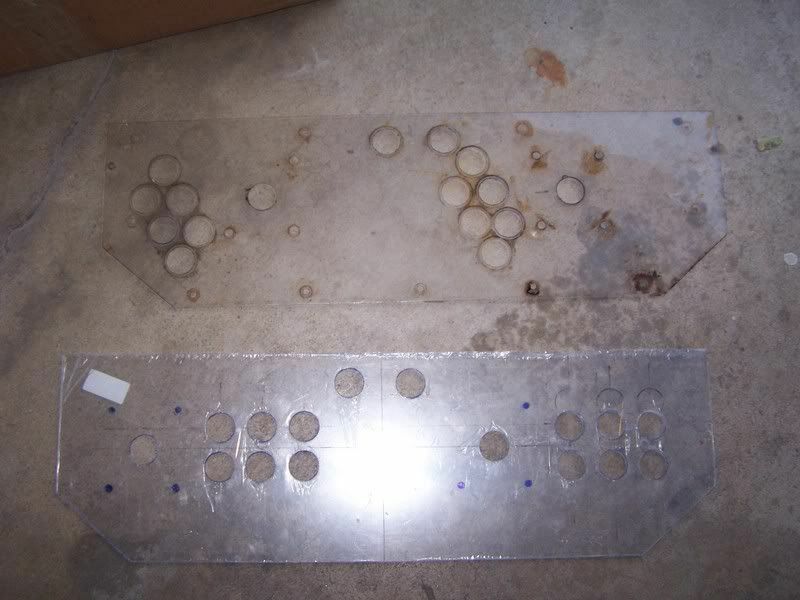 I also built a new plexiglass protective cover and got all the holes measured and cut to the proper layout configuration. Here are some updated pics. 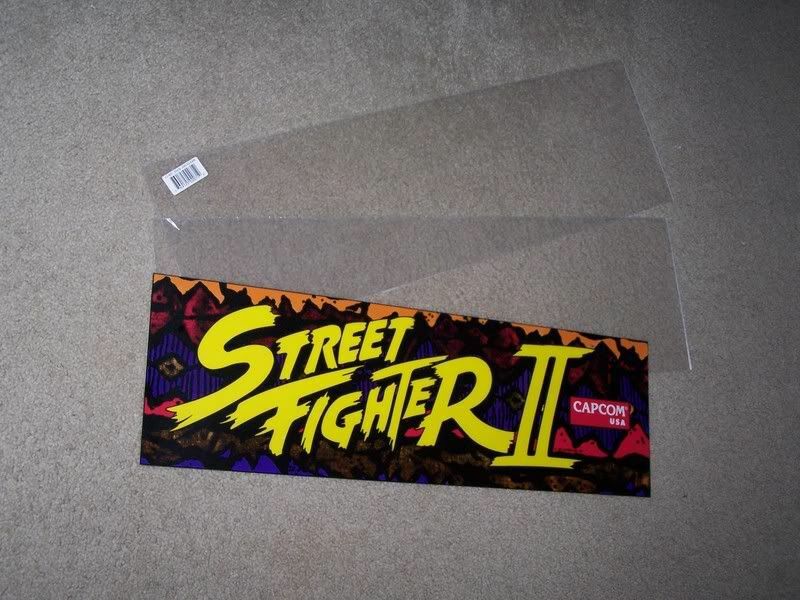 My new marquee, sideart, and cp overlay are still in the mail. Next update soon! 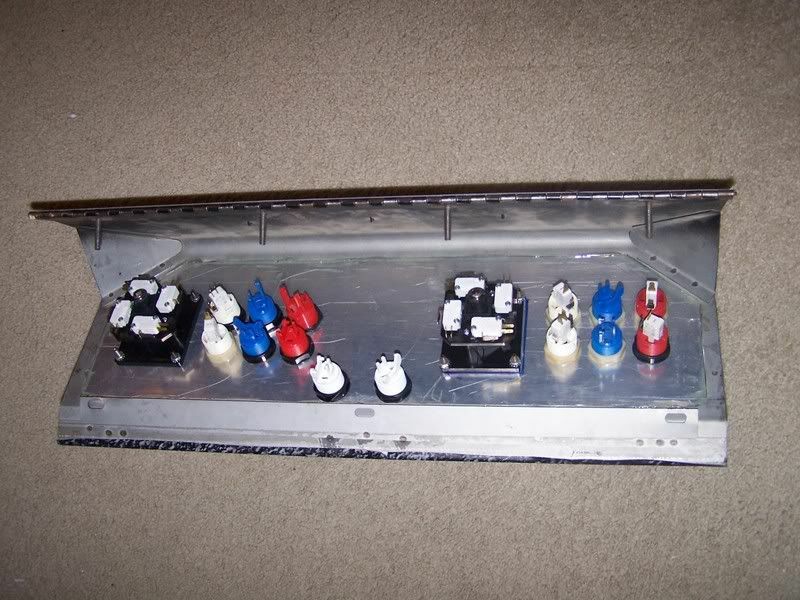 I'm mameing my hs1 and using the same method to do a new button layout on my control panel. What you ended up with is what I started out with though. 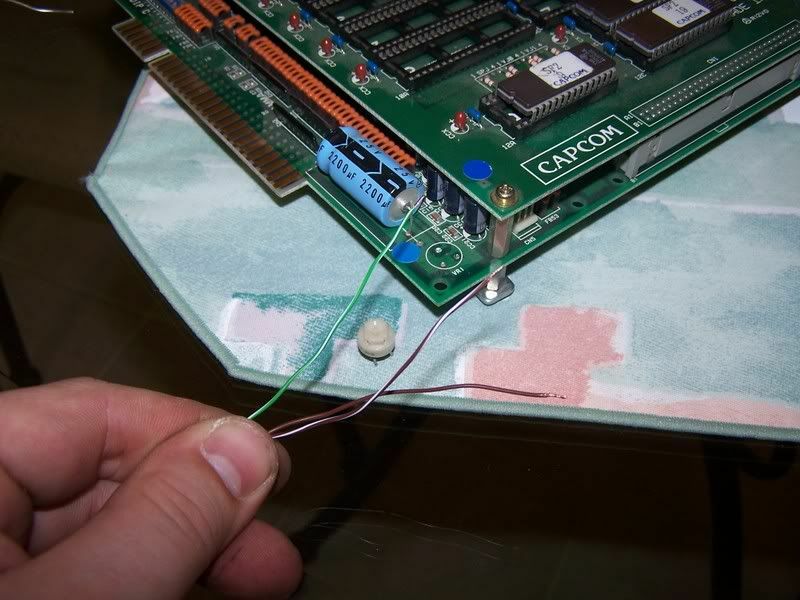 That's a pretty sweet way to fix the button hole problem. How are you going to treat the edge of the new top? The fanciest way would be to have cut the replacement top to fit exactly into the hole from the old top and then weld and grind it smooth. It looks like you cut the new top to sit on the spot the old one occupied. Does your new CPO cover the edge? And/or are you going to bondo it? Does your new CPO cover the edge? Got the new control panel overlay and the sideart today. She's coming together slowly but surely. Control panel turned out quite nice. I need to paint the black parts on each lower side, but after that, it should be done. 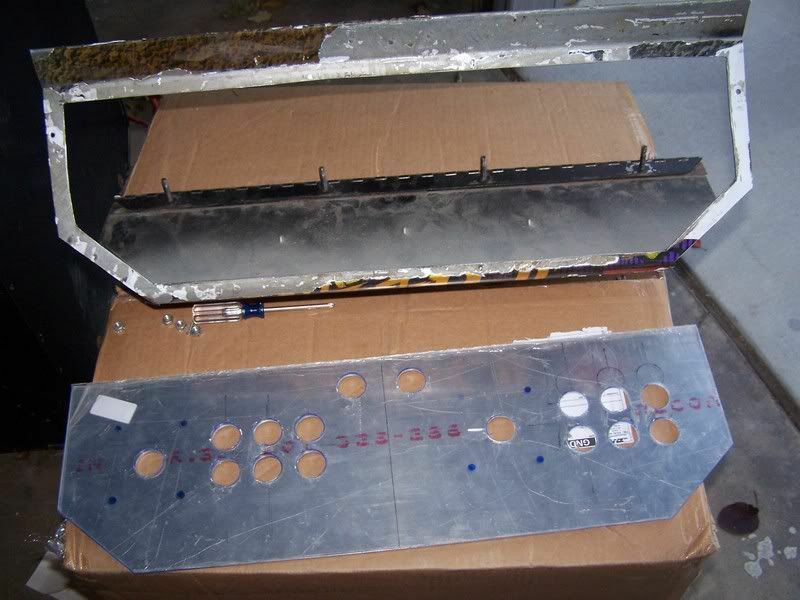 This weekend I am going to strip and paint the sides and apply the new sideart. Then it's on to replacing the t-molding. See ya all then! Wow! Very clean mate. Well applied too - the alignment is spot on! looking very nice! Im actually a little jealous. 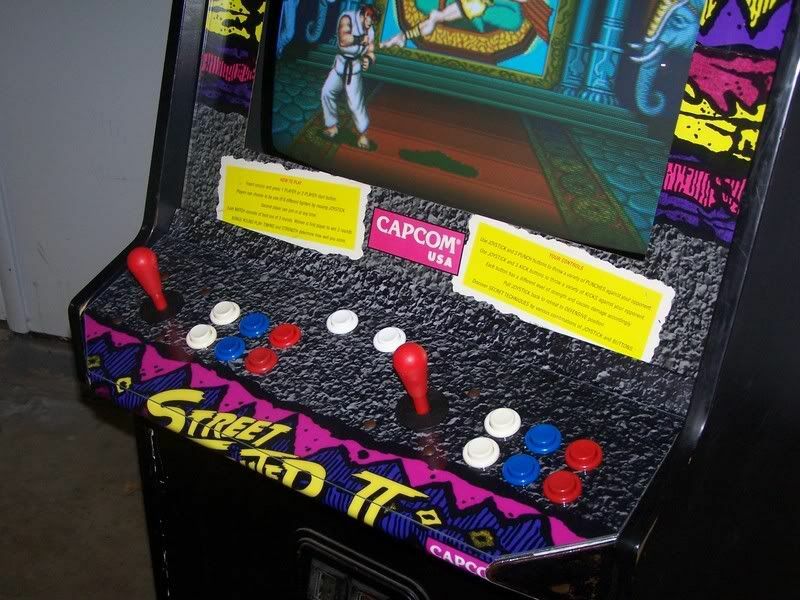 might have just been the arcade around here, but I thought I recalled street fights buttons going red white then blue....? It looks great. Is the CPO NOS or a reproduction? If it is a reproduction, where did you get it from? It's a reproduction. I got it from www.mamemarquees.com They have LOTS of great stuff. The new Marquee arrived today. Had to throw that it there...I might change out the lightbulb assembly for a flourescent assembly later down the road. Cracking job you have done there bud. 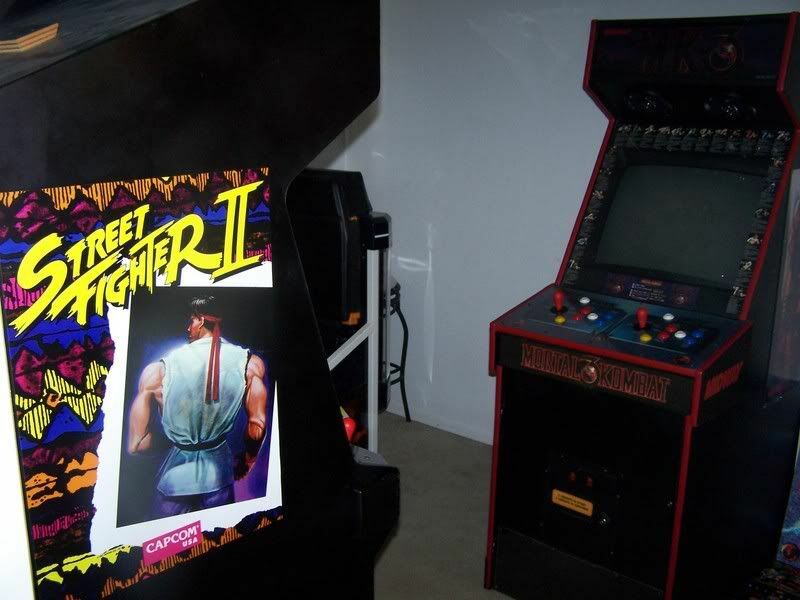 Like most people SF2 is one of the games I grew up with (im 25 so its kind of my own personal 'golden era' game). 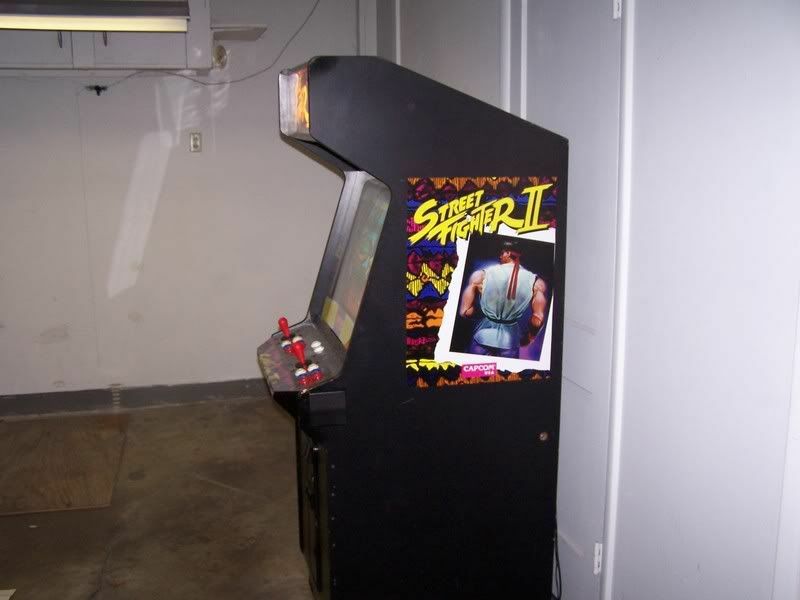 Its soo nice to see an SF2 cab looking that clean. 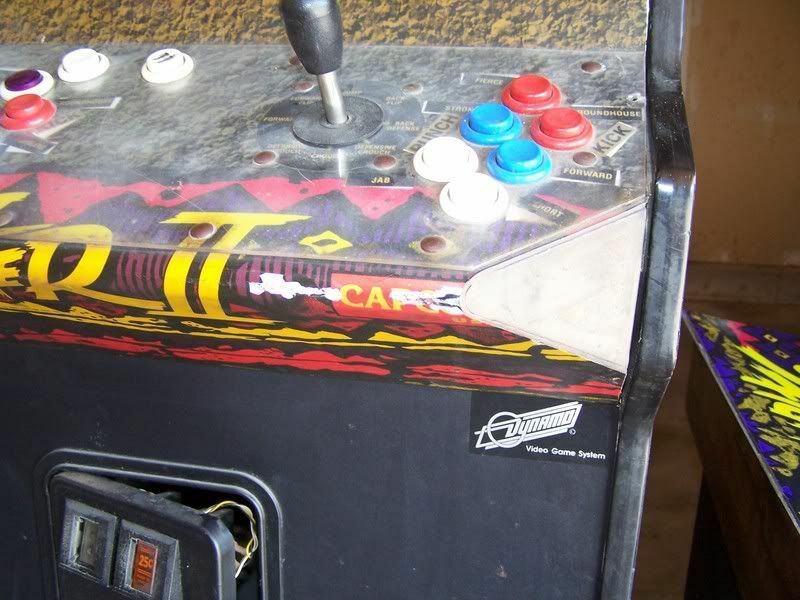 Geez, at least wait till I am done...Anyway, one thing about these cabs I don't like is that there is no volume control. 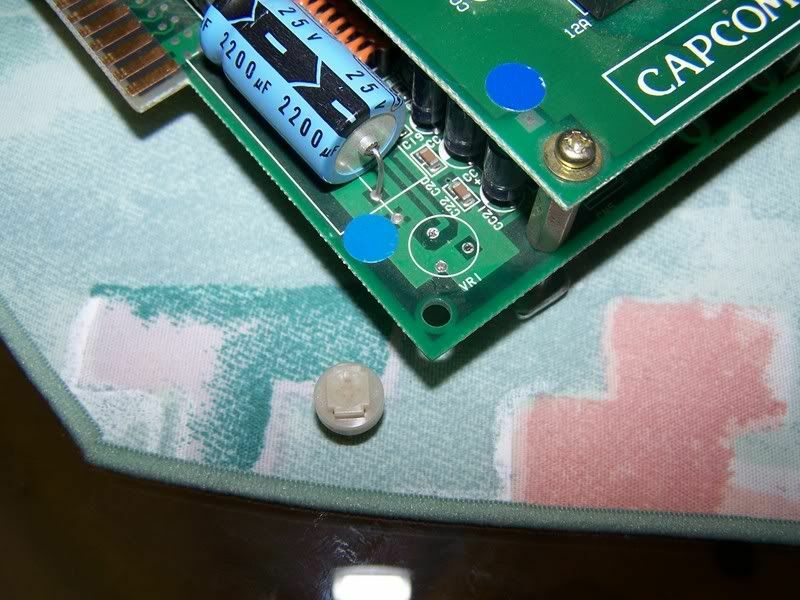 The only way to change the volume is a little potentiometer mounted on the pcb. 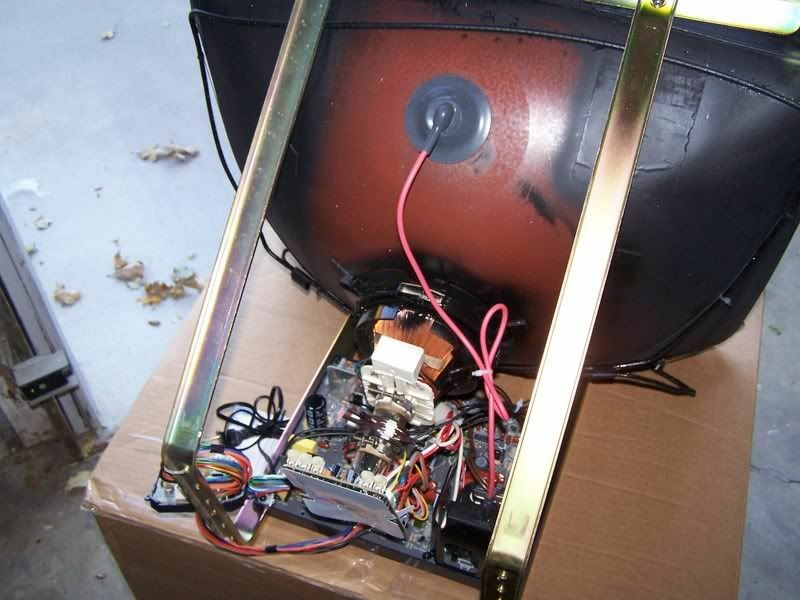 So I de-soldered it from the pcb, put some long wires on it and I am going to relocate it to just inside the coin door. I don't want to tear the machine apart just to adjust the volume. Here are some pics and a Video of what I am talking about. 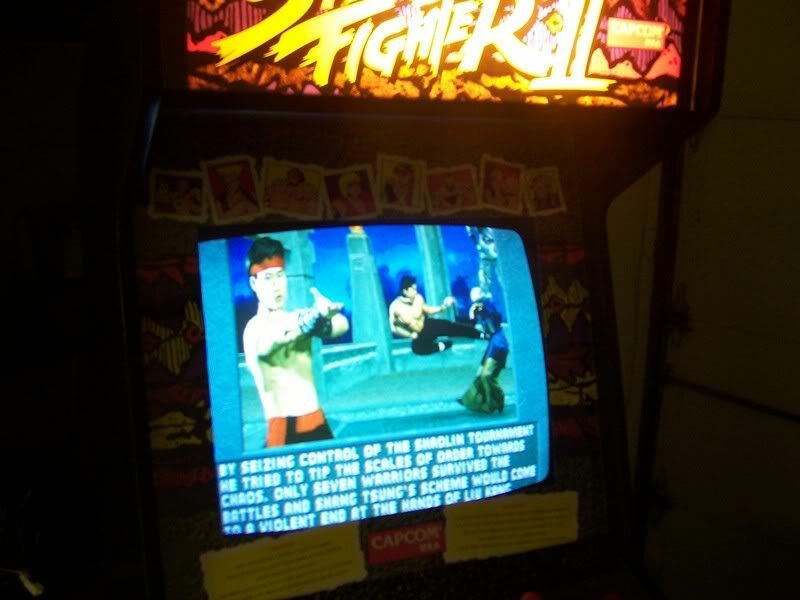 Also, you will see some pics of Mortal Kombat II. 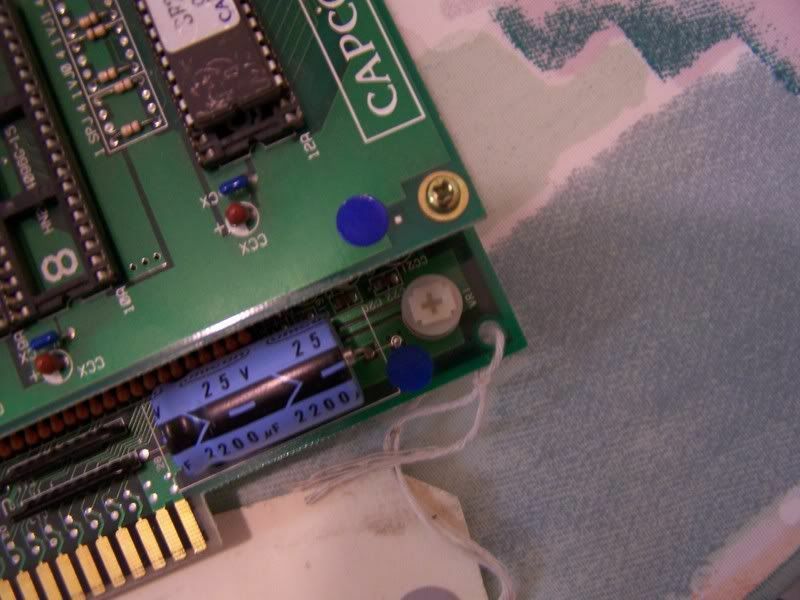 I've had the pcb for ages and this is my first chance to test it out as I have not had a jamma cab till now. 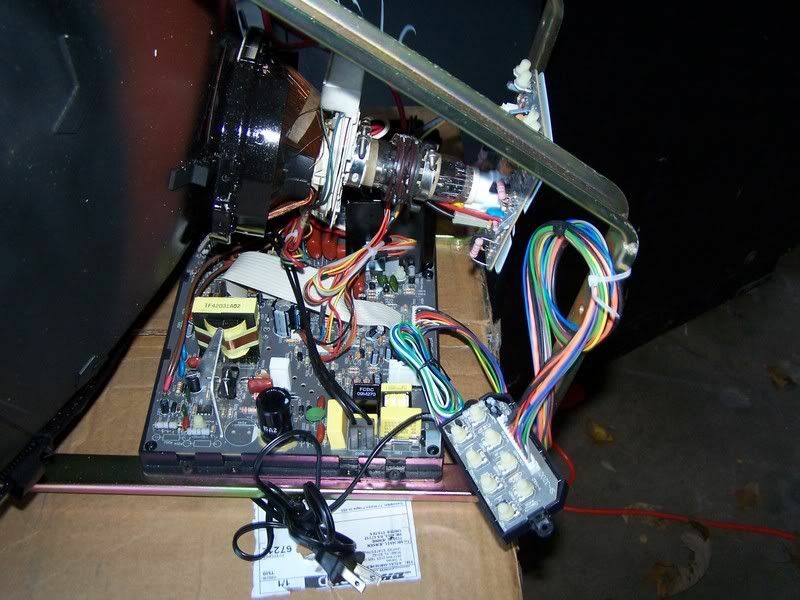 I might change out the lightbulb assembly for a flourescent assembly later down the road. 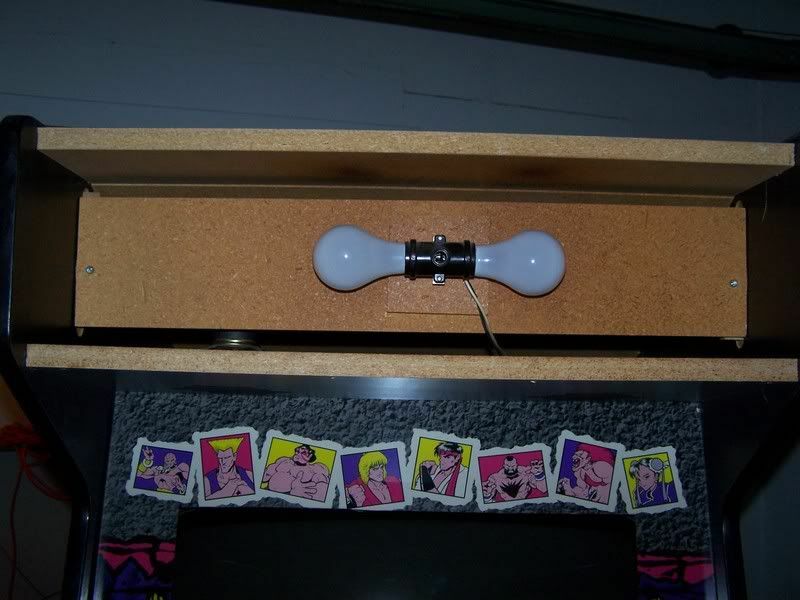 I just use one of those "energy saver" type fluorescent bulbs that screw into regular light sockets, in both of my Dynamo cabinets. Even though there are two sockets, one bulb, of the lowest wattage they make, is enough. It lights up the marquee fine. Ok, done for now. 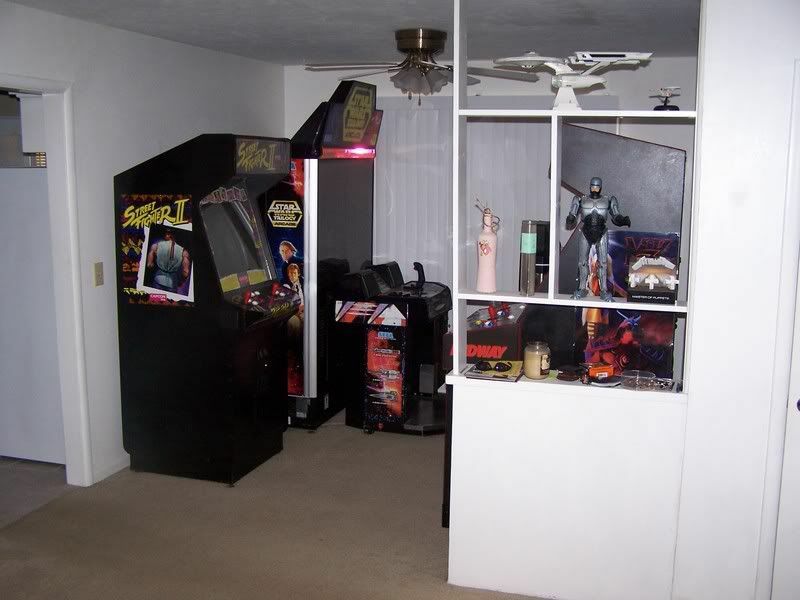 What needs to still be done can be done in the "Arcade" area of the house. 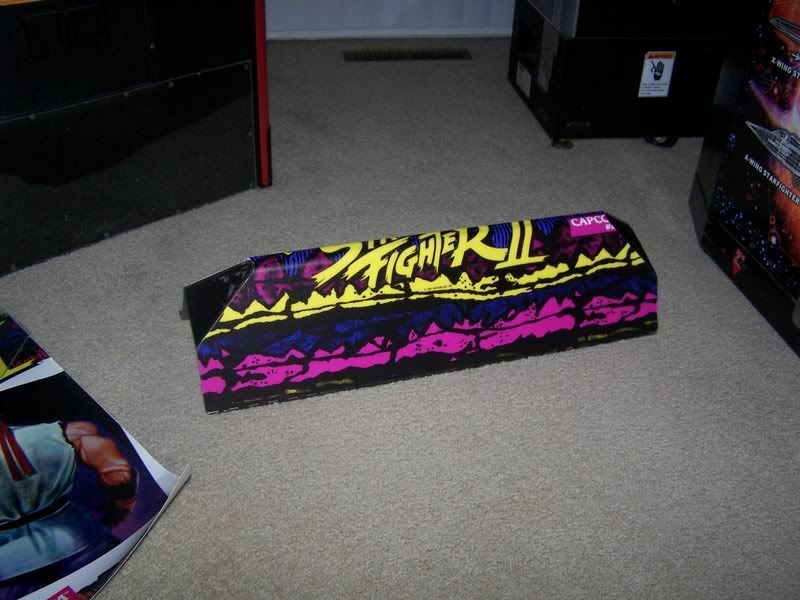 Here are some updated pics of it's final resting place. Thanks for all your kind words and for rollowing the process. Quick update. 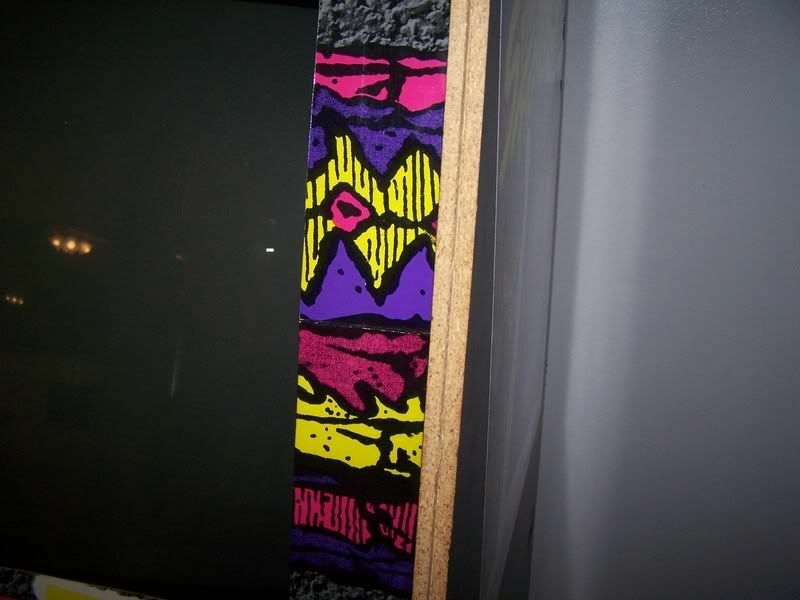 Came home from work today and my new t-molding was waiting for me. 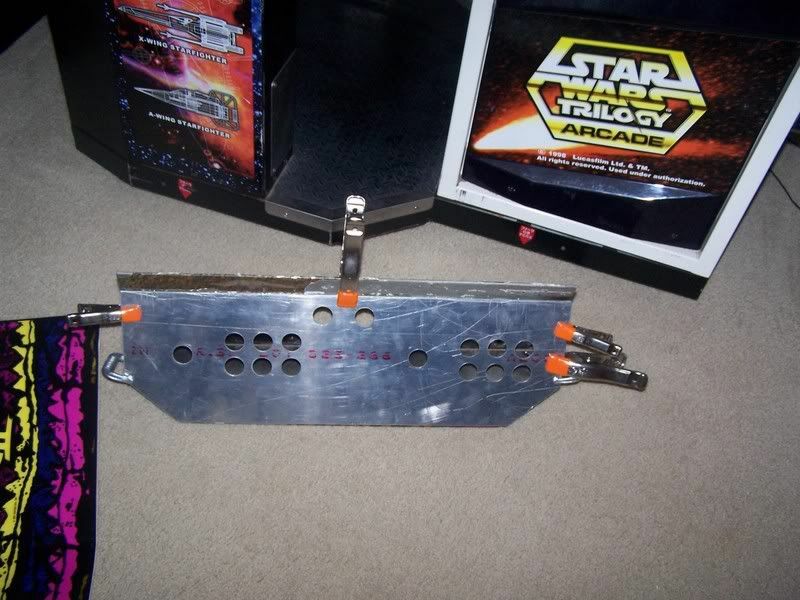 Gonna throw that on tonight and then it's just down to replacing the front piece and the coin door assembly. Awesome stuff man. The cab looks great!! So you mounted the replacement metal panel under the existing one? 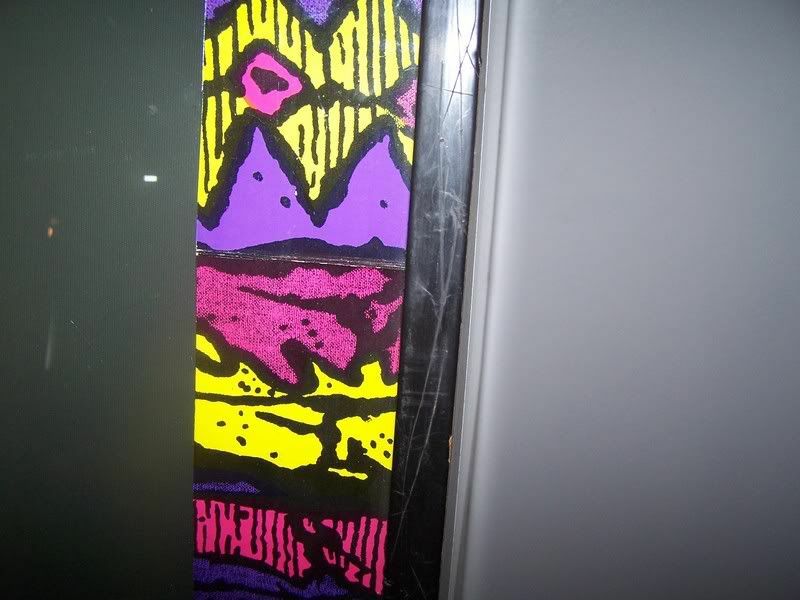 Did you cut out the top panel or just add new holes? 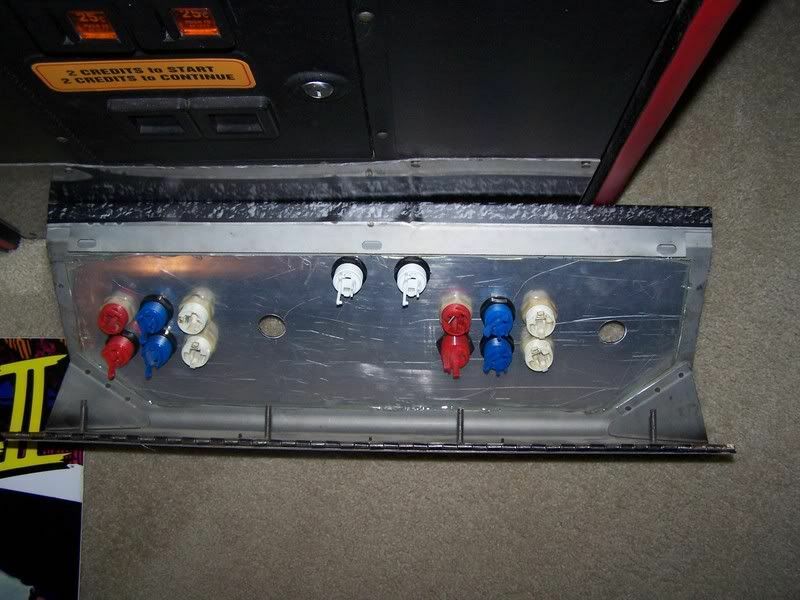 I actually placed the new panel cover on top of the old panel after cutting out the old layout leaving 1/2" around the perimeter and re-installed the original carriage bolts on the left and right sides for added support. Refer to the pics on the first page. Thanks for the kind words. The world's first Aussie lowboy with rotating monitor! AWESOME Job! 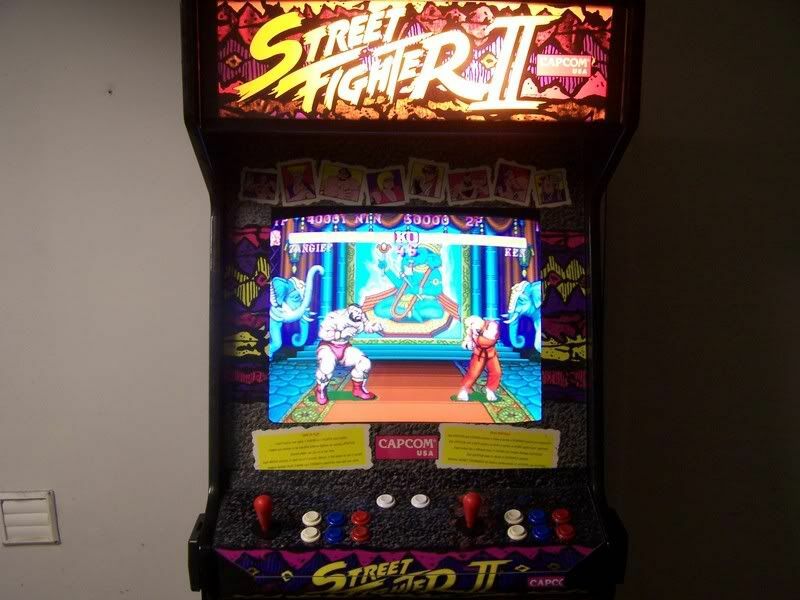 I myself am 27 so the SF2 games and MK games are what I grew up on. 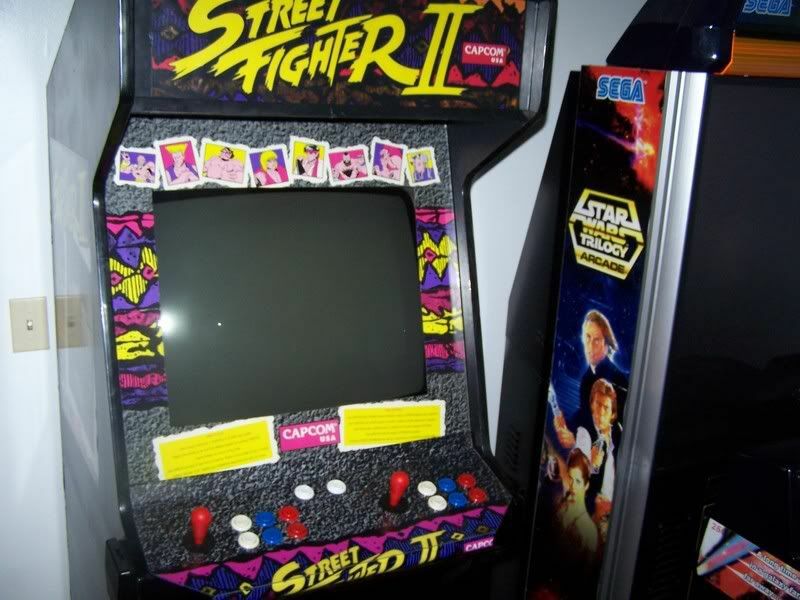 The cabinet looks great. 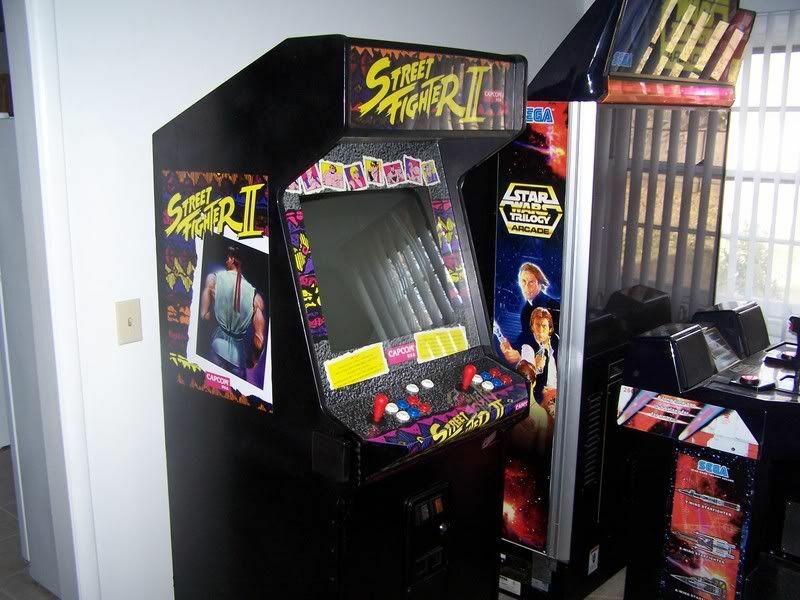 I recently bought a house, and in my dining room/card room there's a corner just waiting for an arcade cabinet. 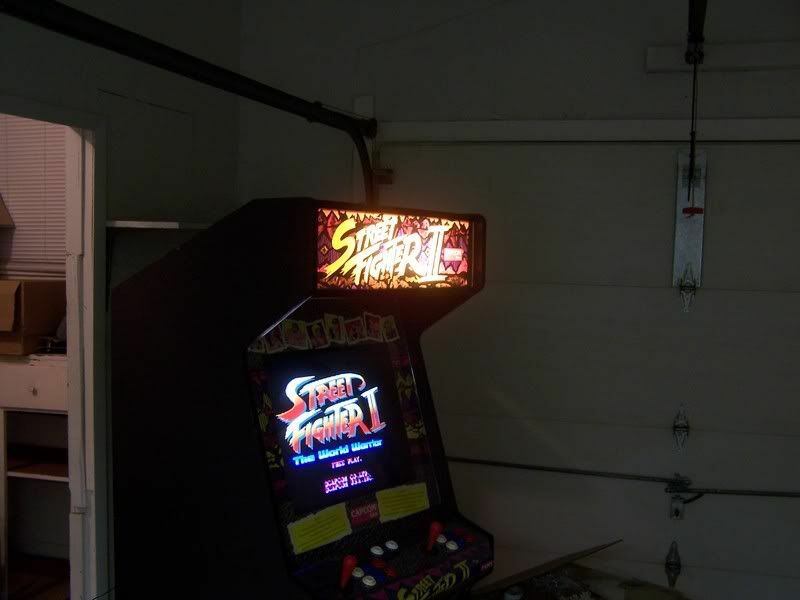 Sadly, I have no garage to build my own so I need to just modify an existing cabinet (Or buy a kit), but SF2 will definitely be in my mind when designing the thing. Thanks! And good luck with your design and build. Any questions, feel free to ask! "Dead or alive, you're coming with me." Page created in 0.25 seconds with 75 queries.